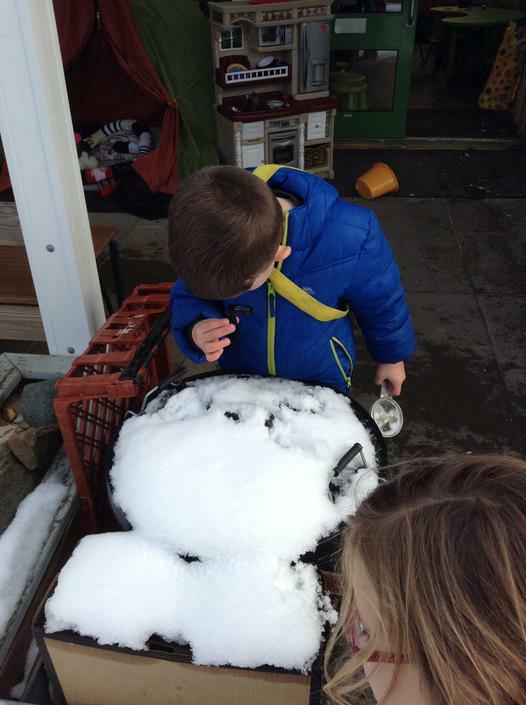 You could try it yourself at home! 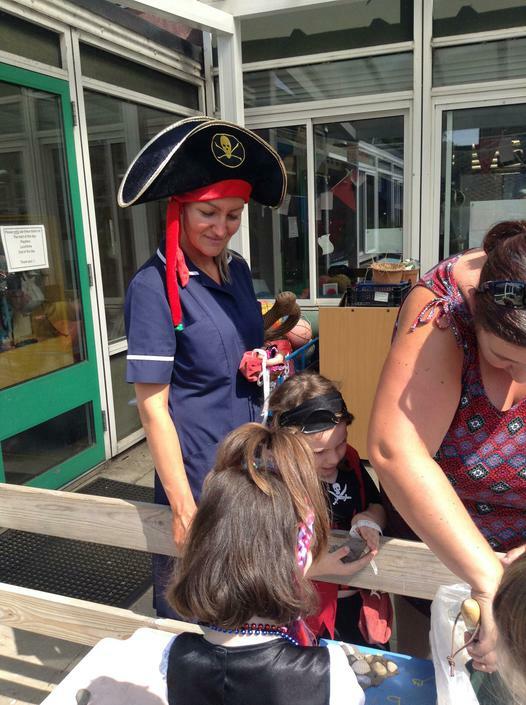 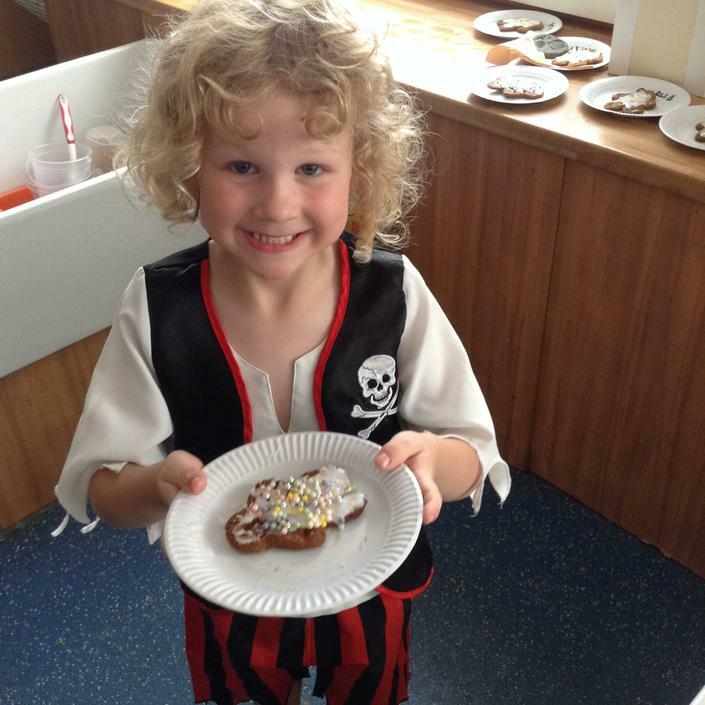 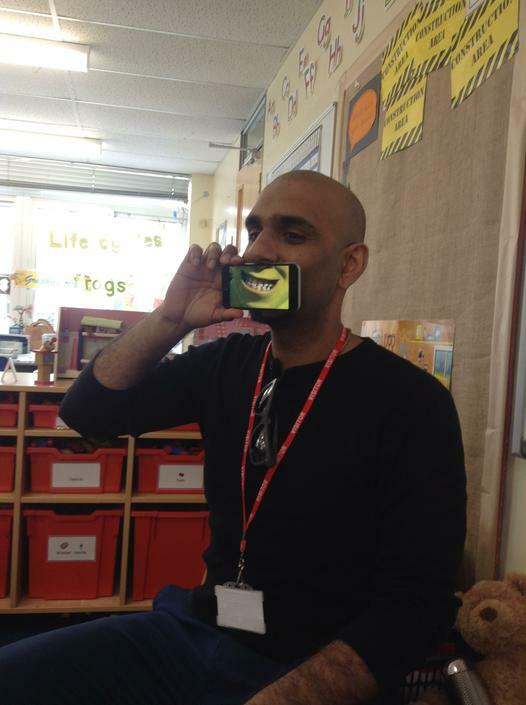 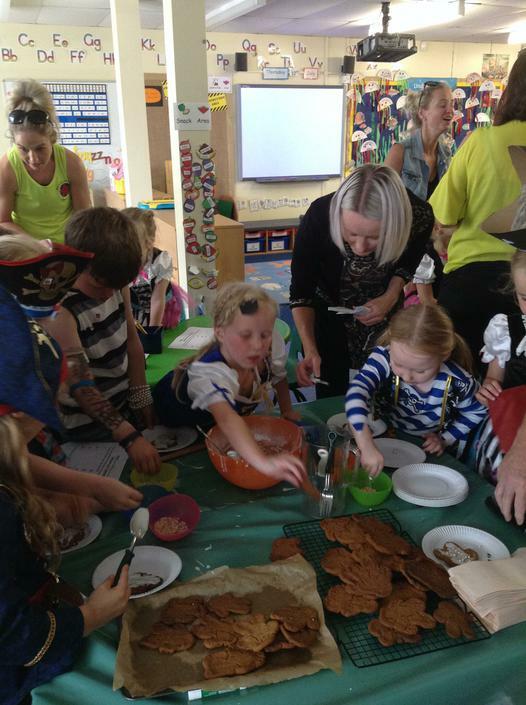 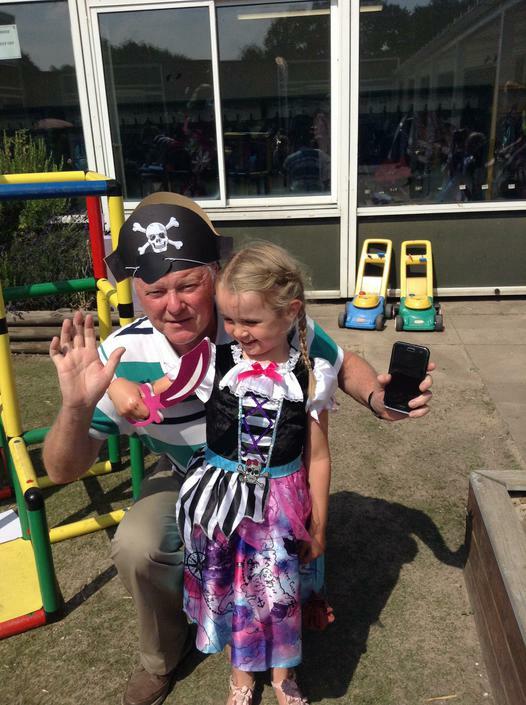 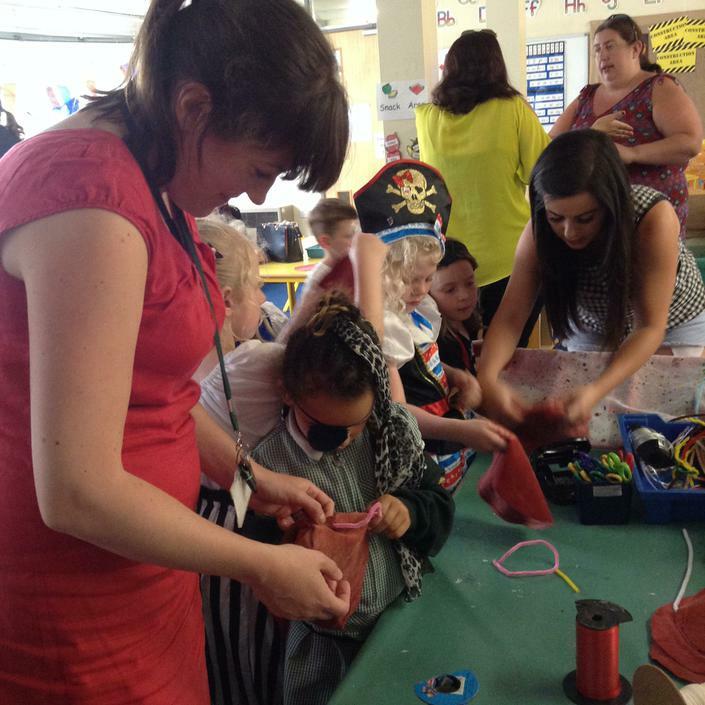 Yoho me hearties and welcome back to the last half term in Reception! 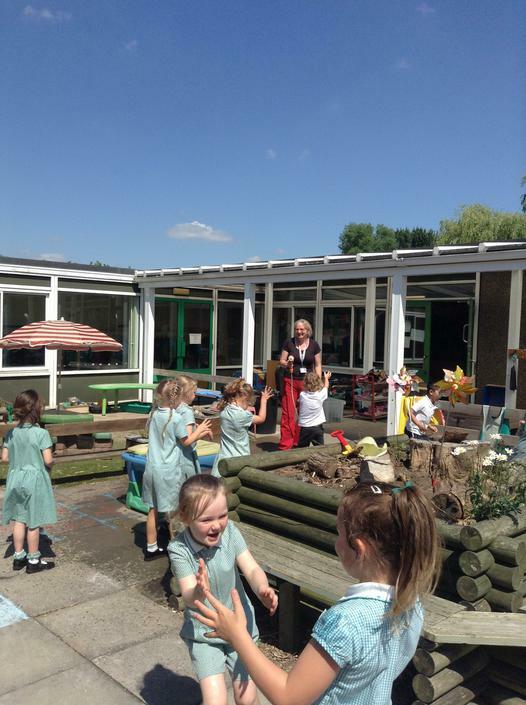 Well how lovely it is to be back and have lots of time outside in the sun this half term, perfect Pirate weather in fact! 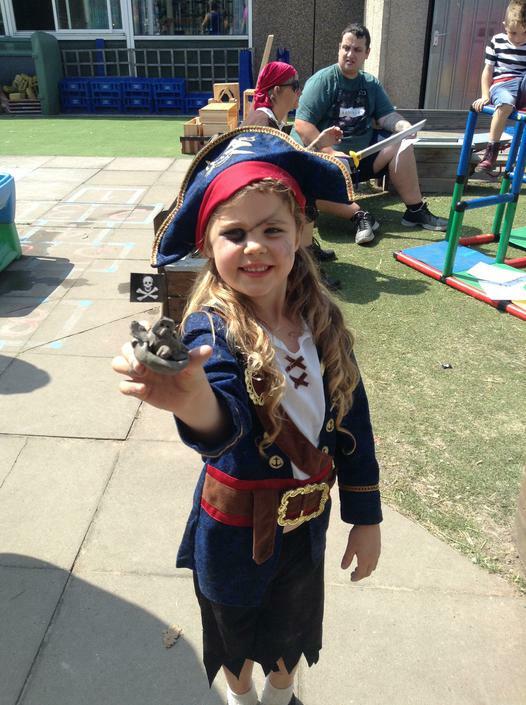 Everything has gone a bit pirate mad in our unit as we are learning all about these villains of the seas. 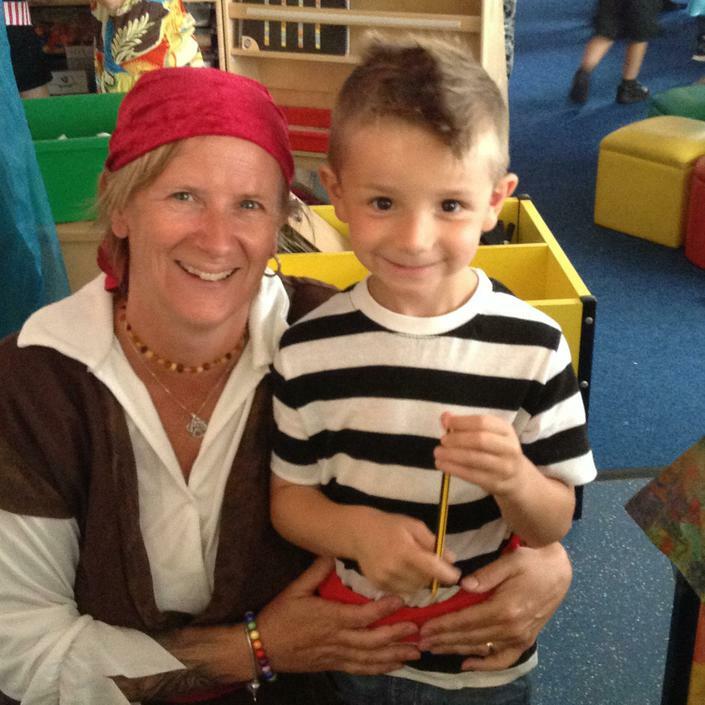 We will be writing pirate facts and will be trying to work out what is fact and myth when it comes to pirate stories. 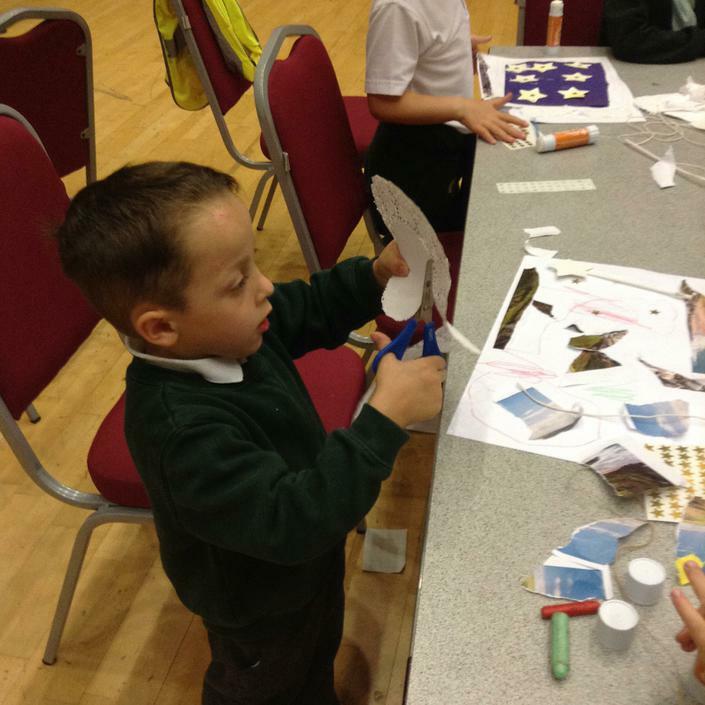 We will also find out about the animals that live in the seas, from the ones at the surface, to the ones way down deep. 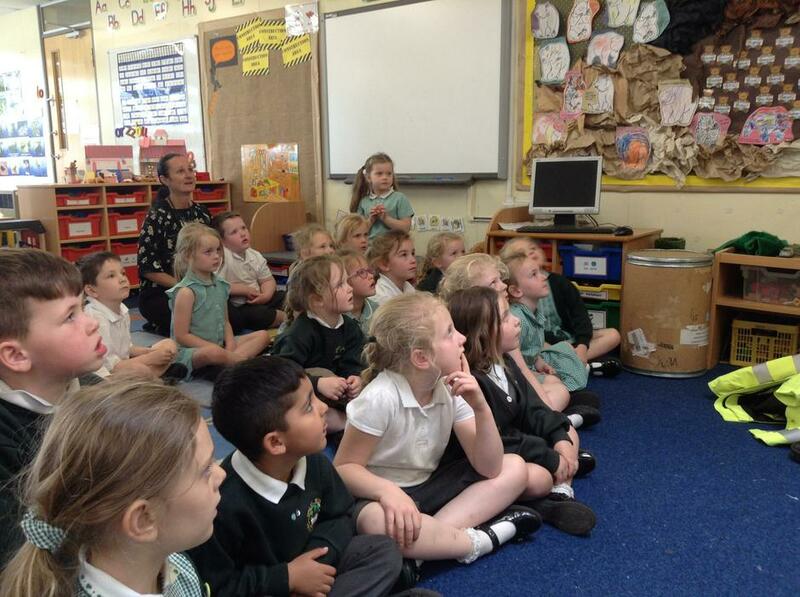 We will be learning about litter and how it affects the oceans and making pledges to help the environment. 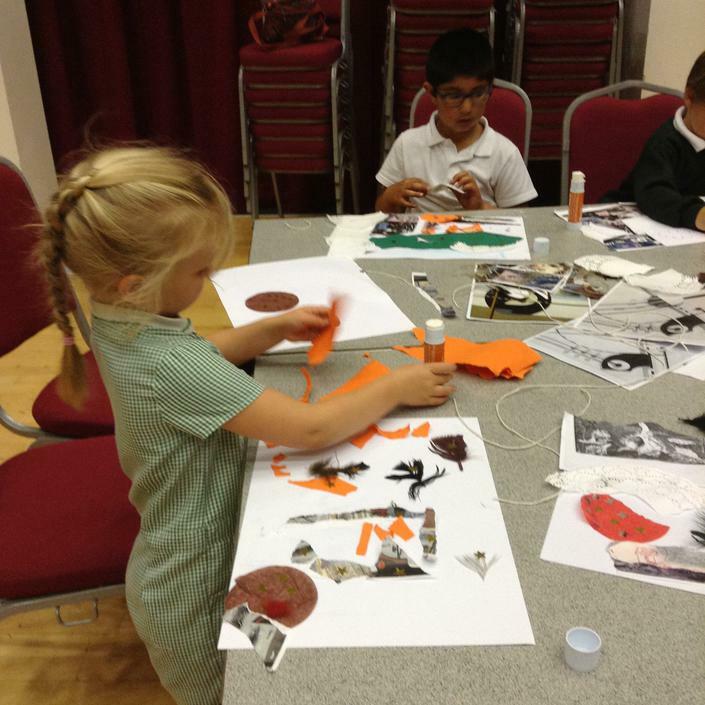 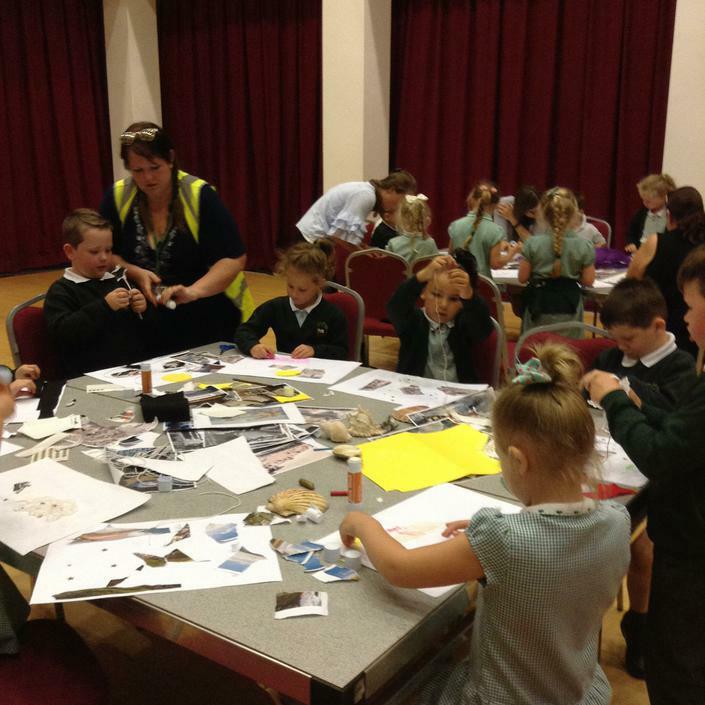 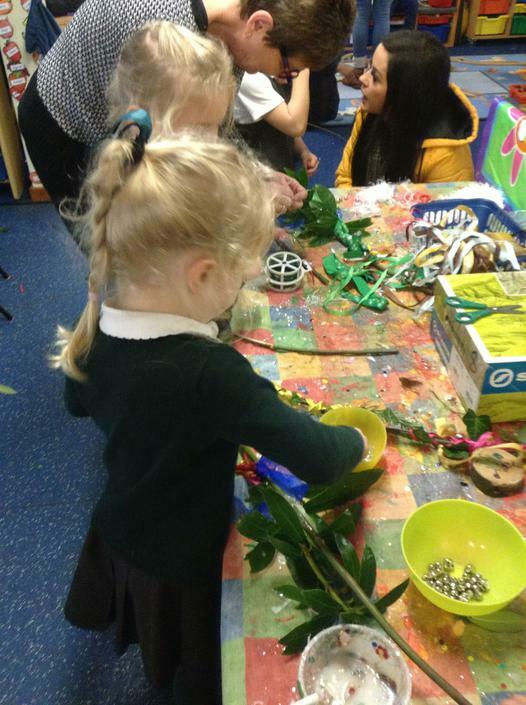 We will be making sea creatures out of recycled materials. 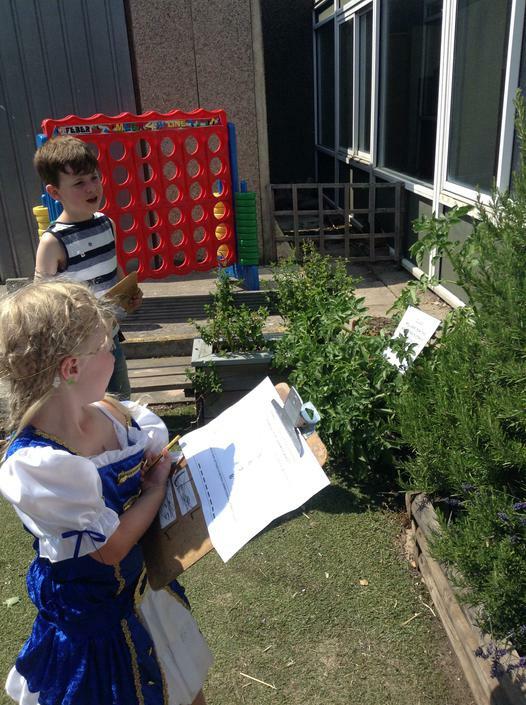 Our Beebots are going to come out and find their way round a pirate map, which means we need to learn to programme them to help them find the treasure! 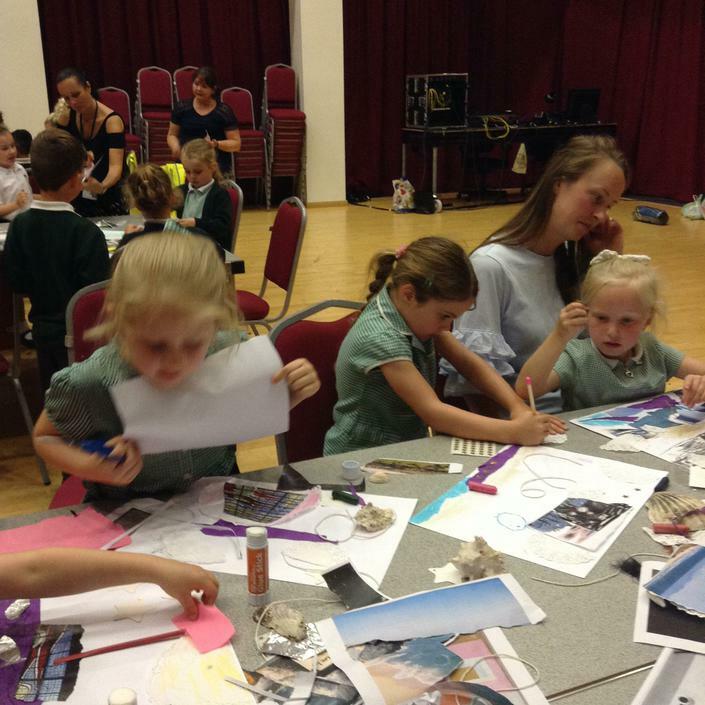 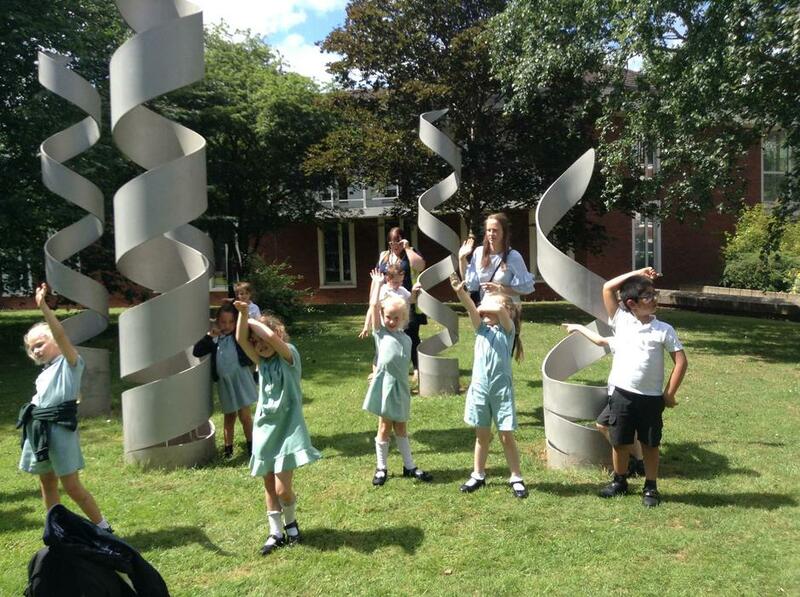 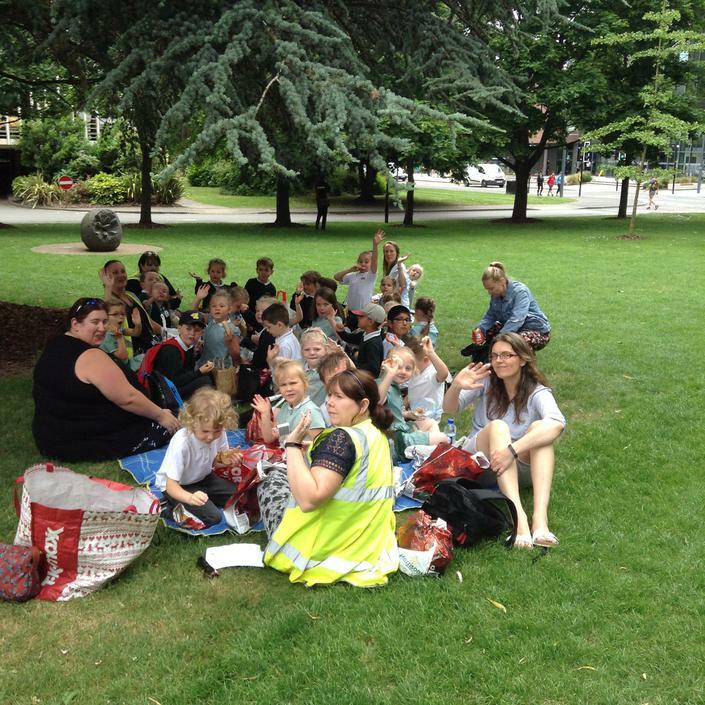 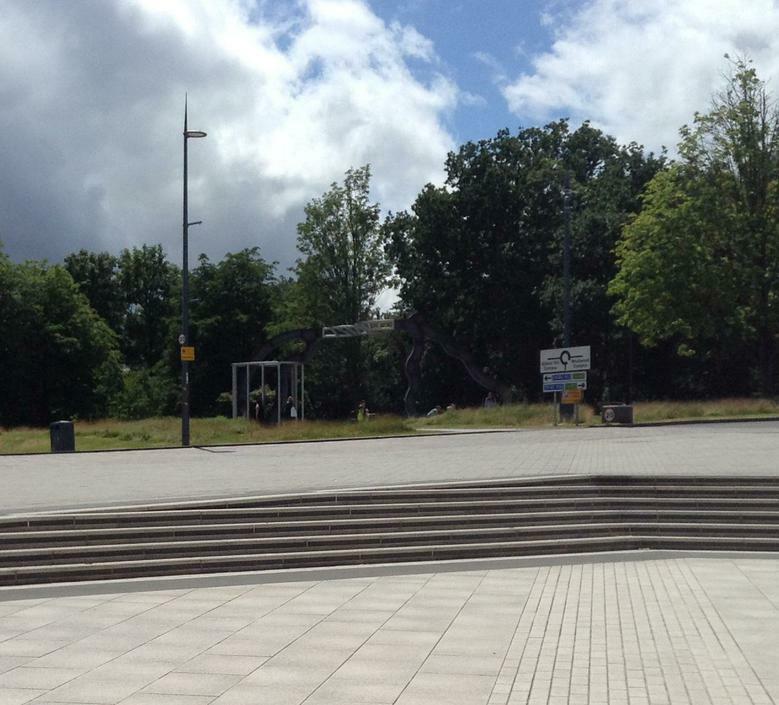 We have a trip planned to the Mead Gallery at Warwick University where we will be given the opportunity to work with the gallery staff to do some sea collage pictures and do a bit of map reading so we can find all the hidden sculptures there! 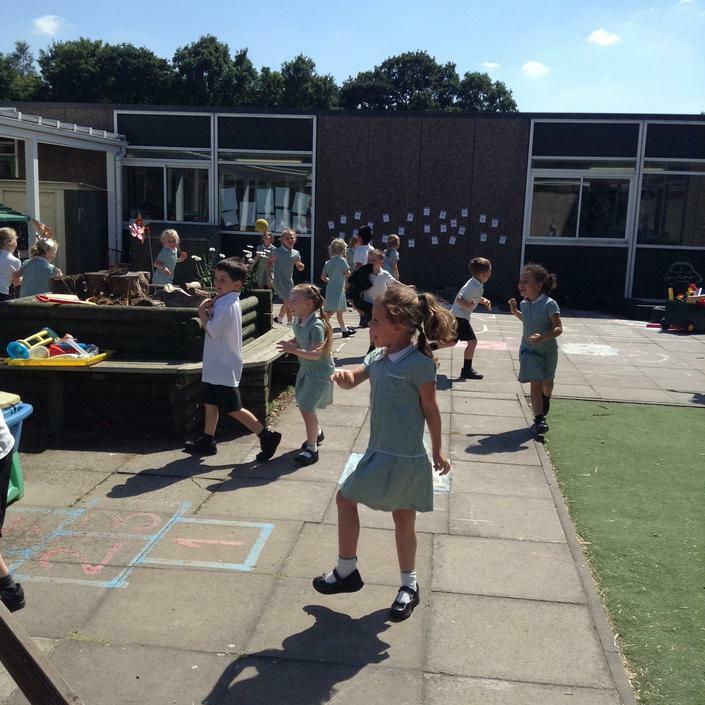 We will be busy practising our athletic skills in PE so we are ready for Sports Day so please remember the children need PE pumps or trainers in their PE bags! 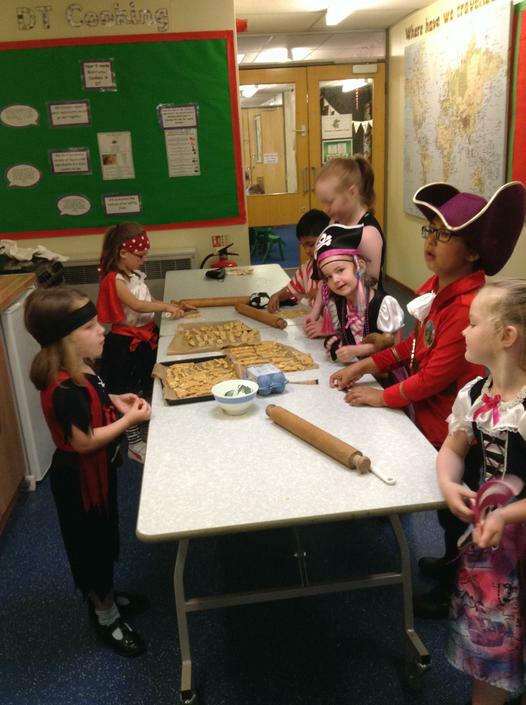 Watch this space as we hope to have a pirate picnic at the end of term, although we don't really fancy the maggoty bread that pirates ate in the Golden Age of Piracy! 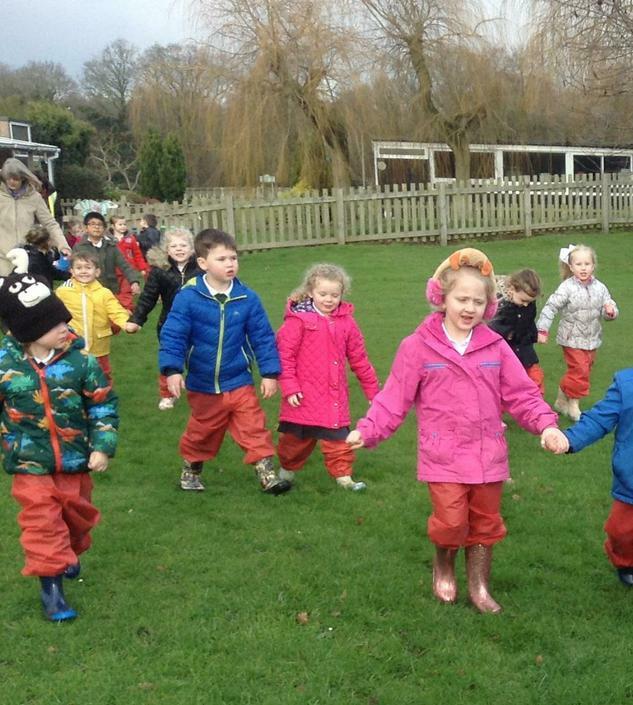 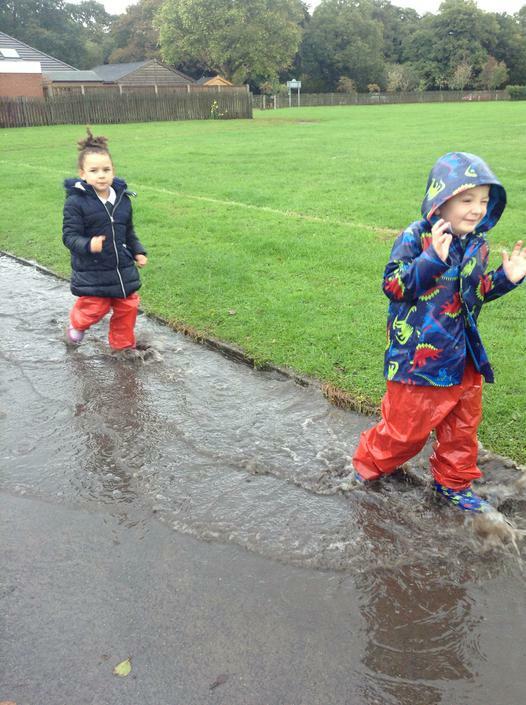 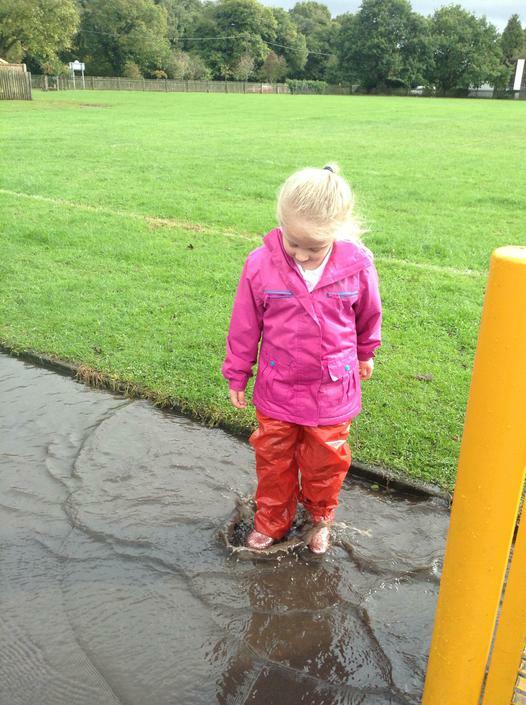 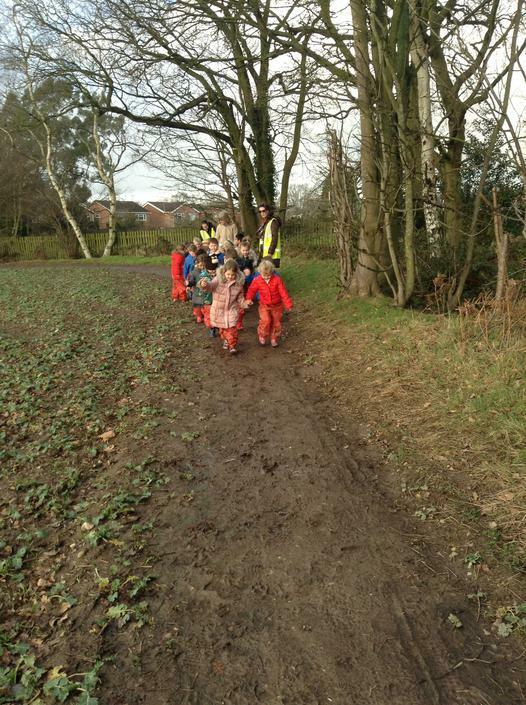 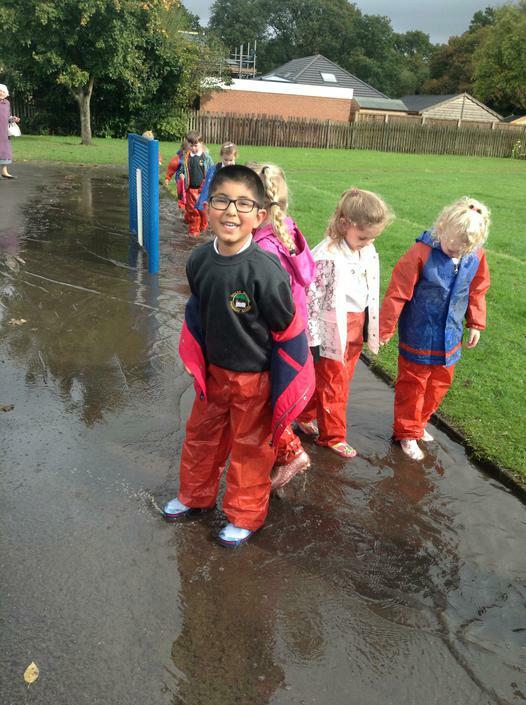 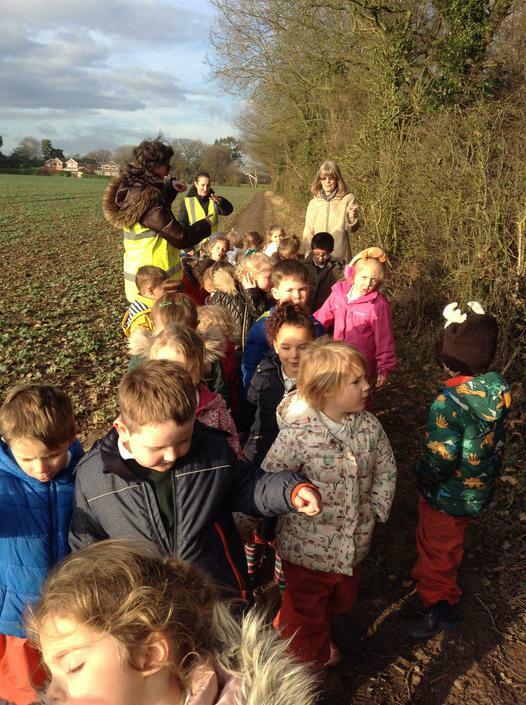 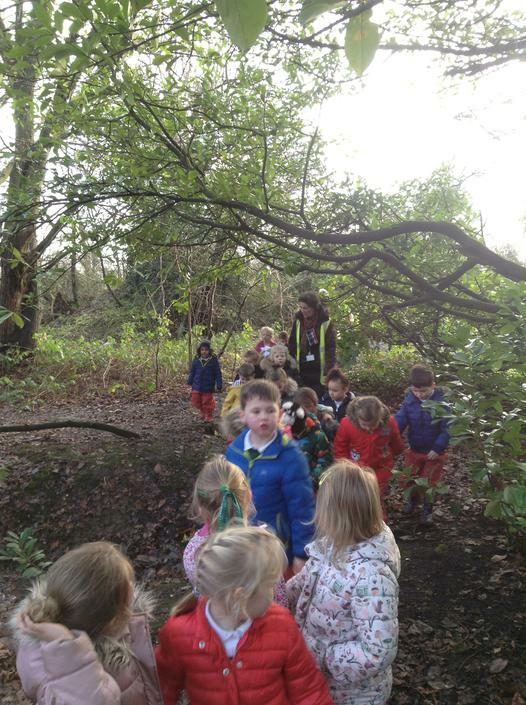 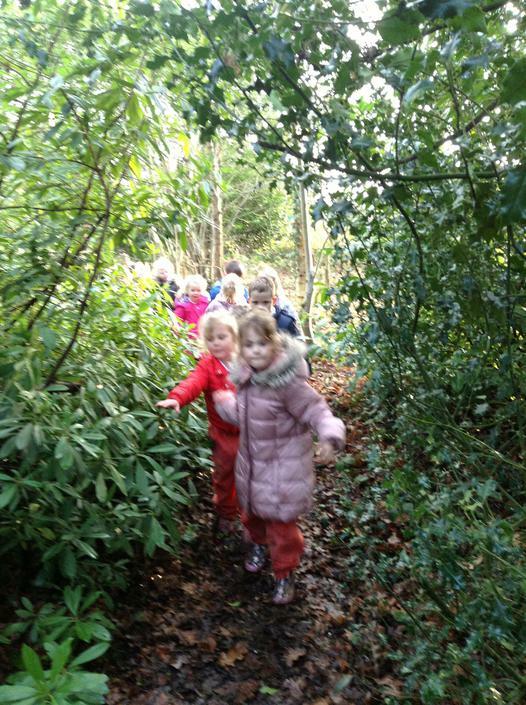 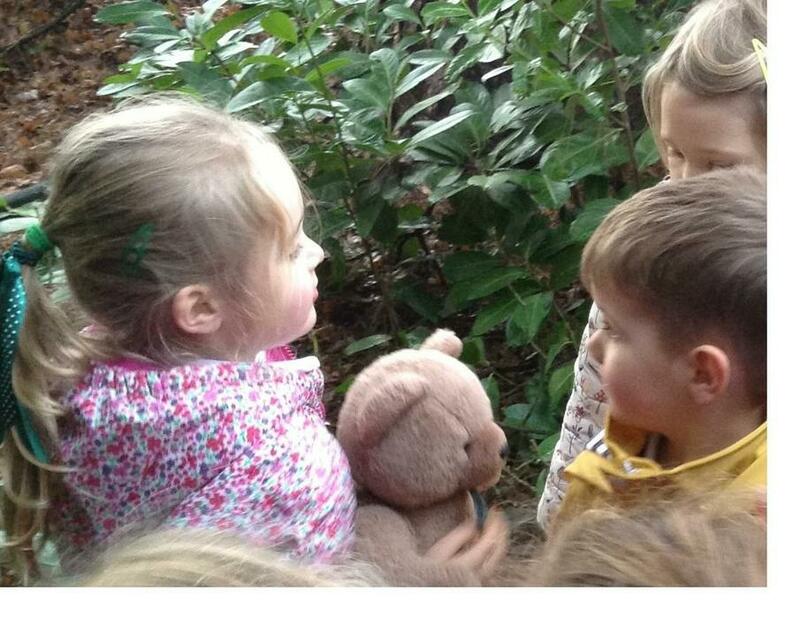 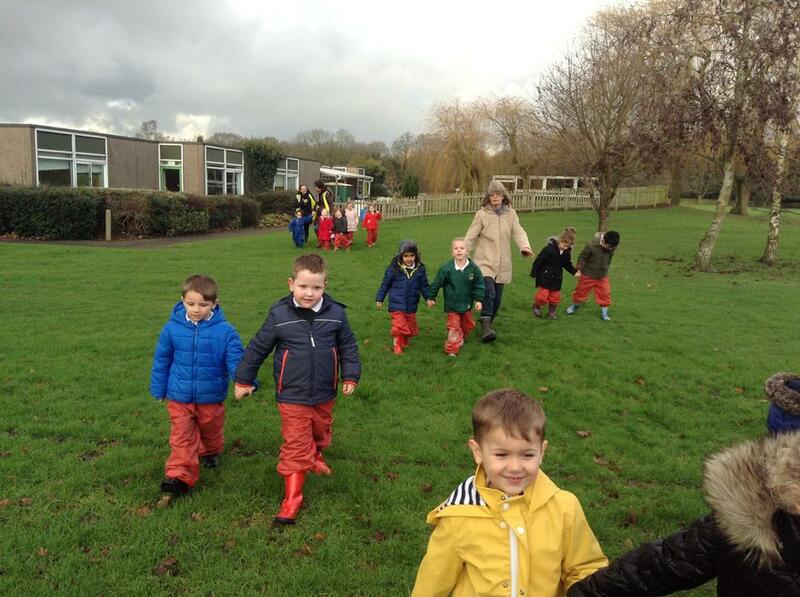 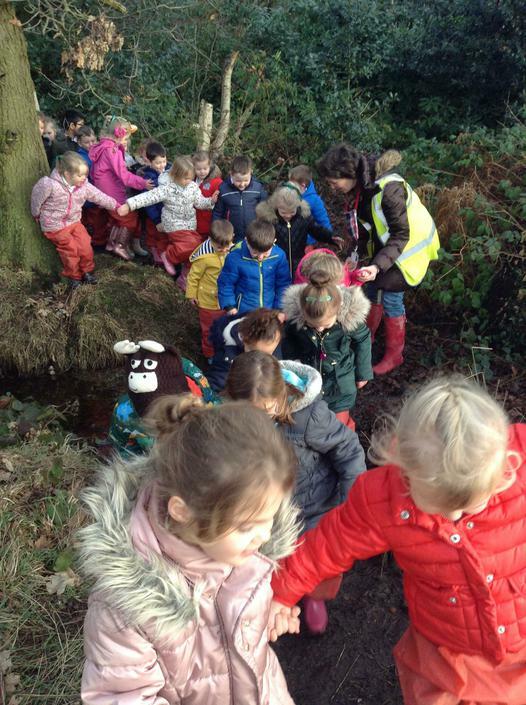 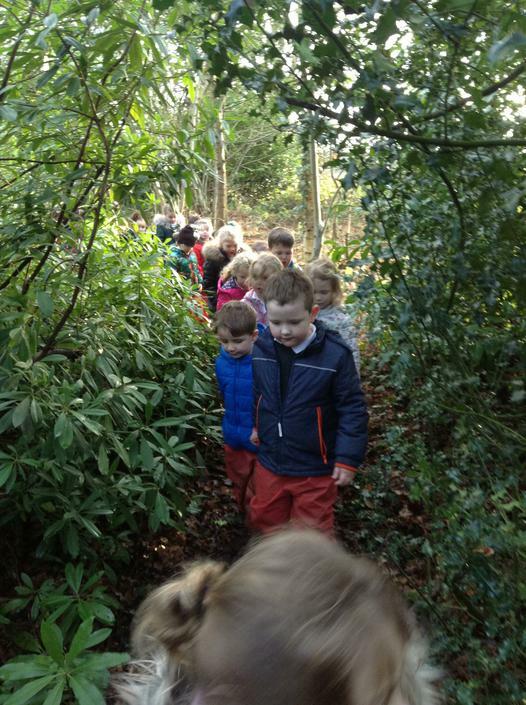 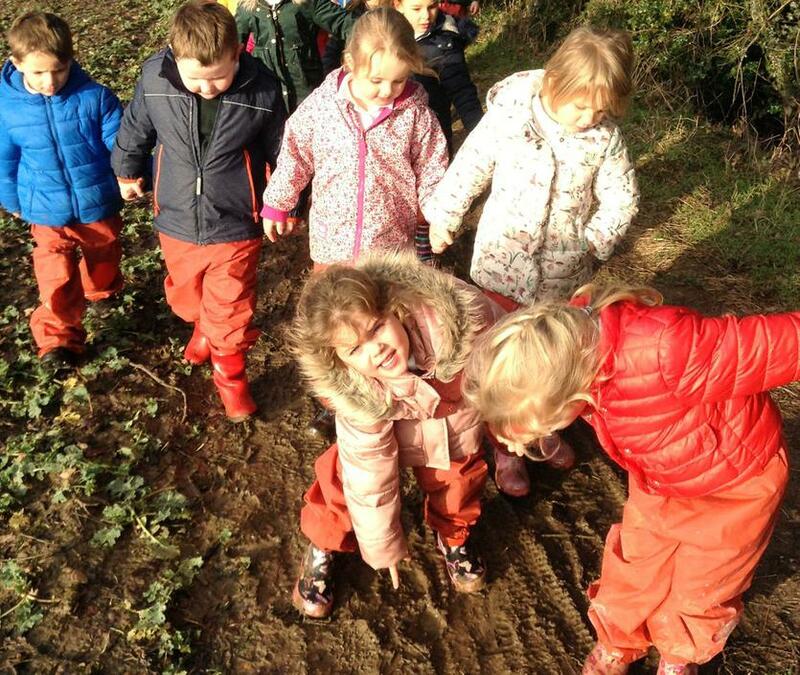 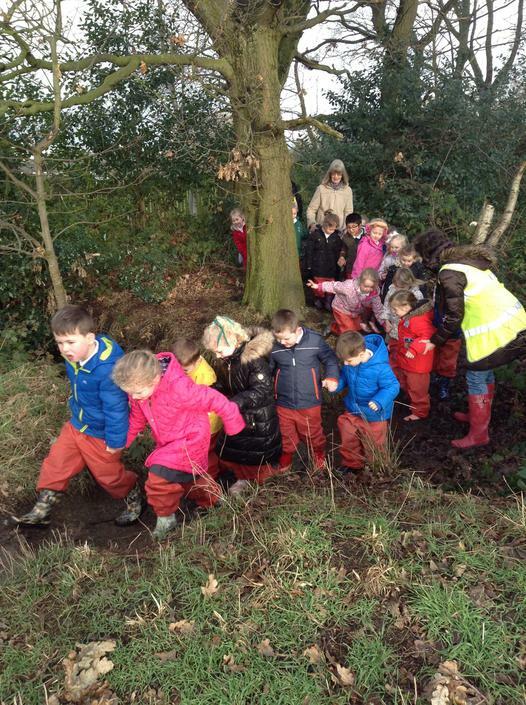 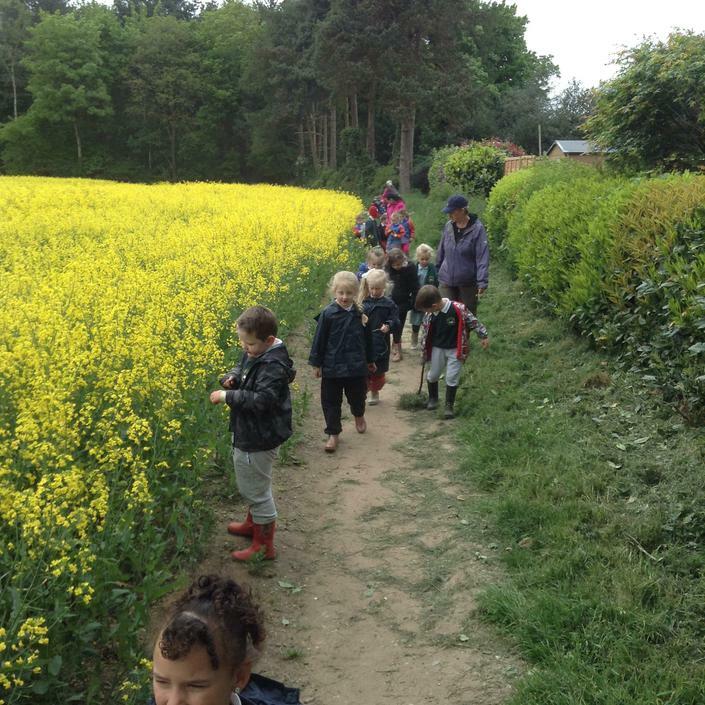 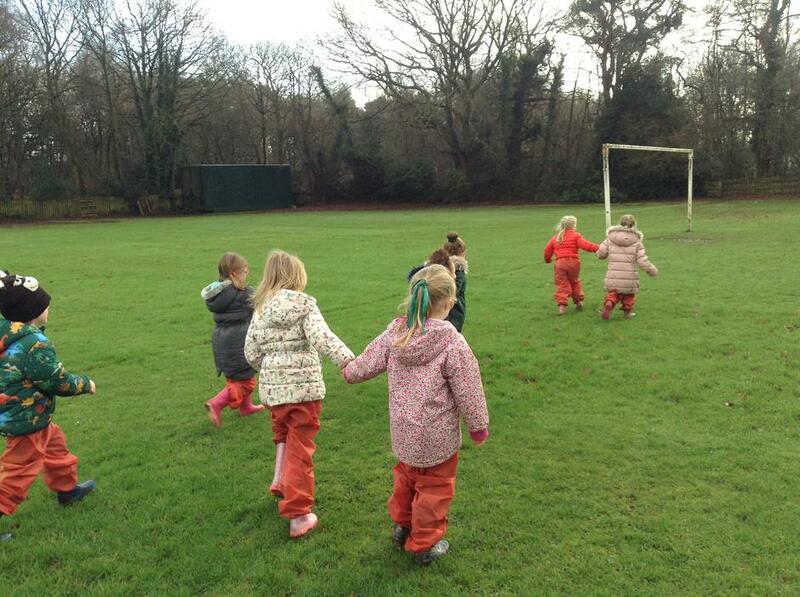 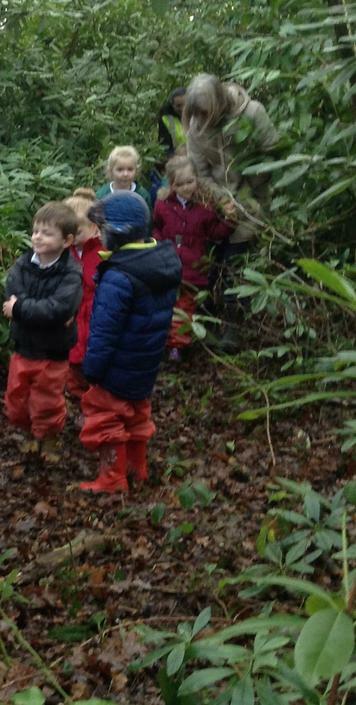 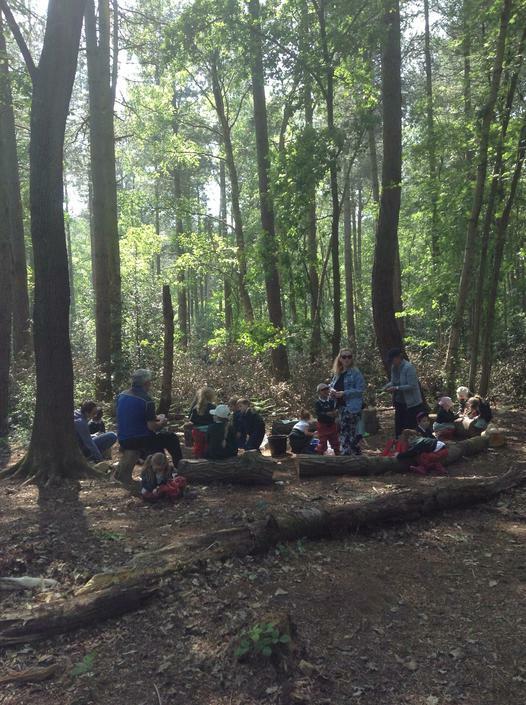 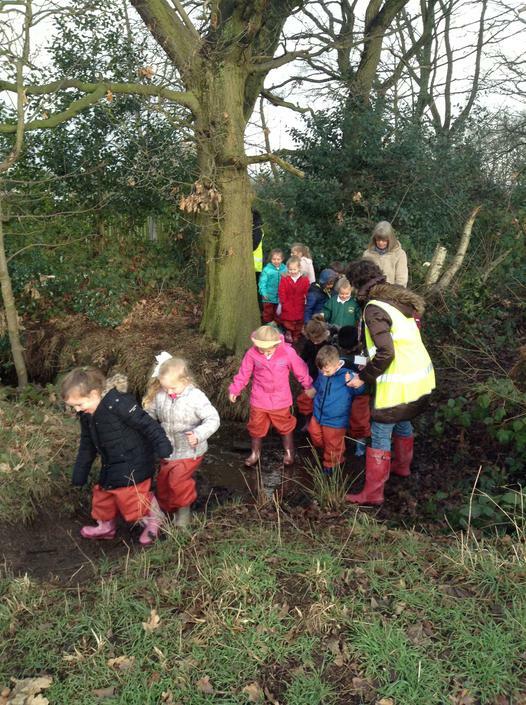 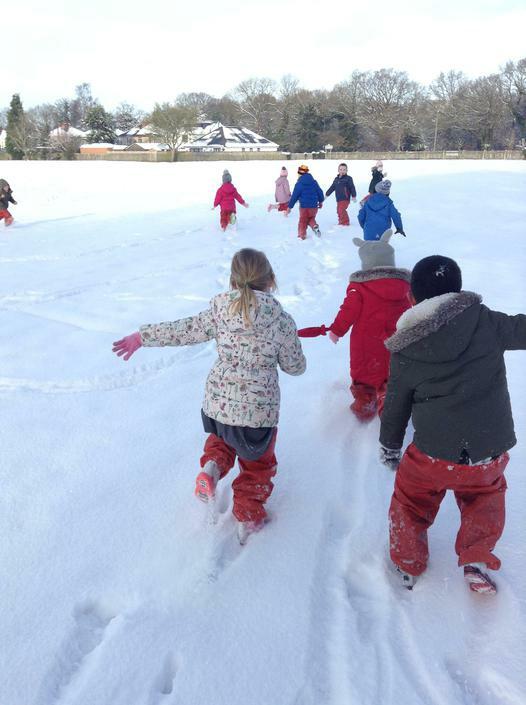 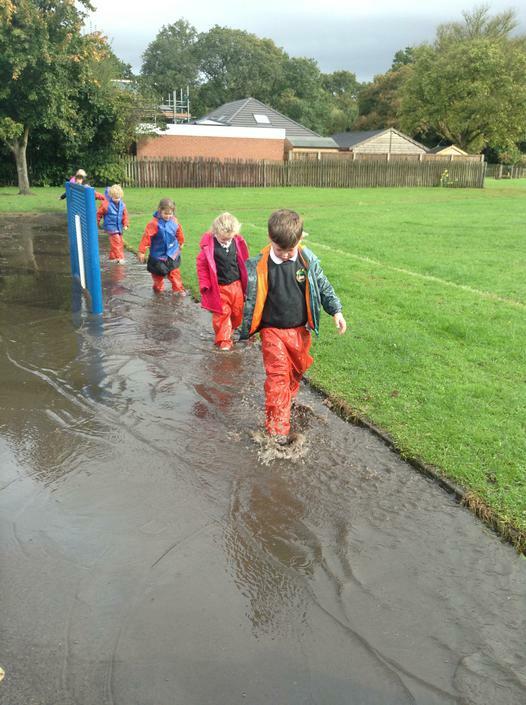 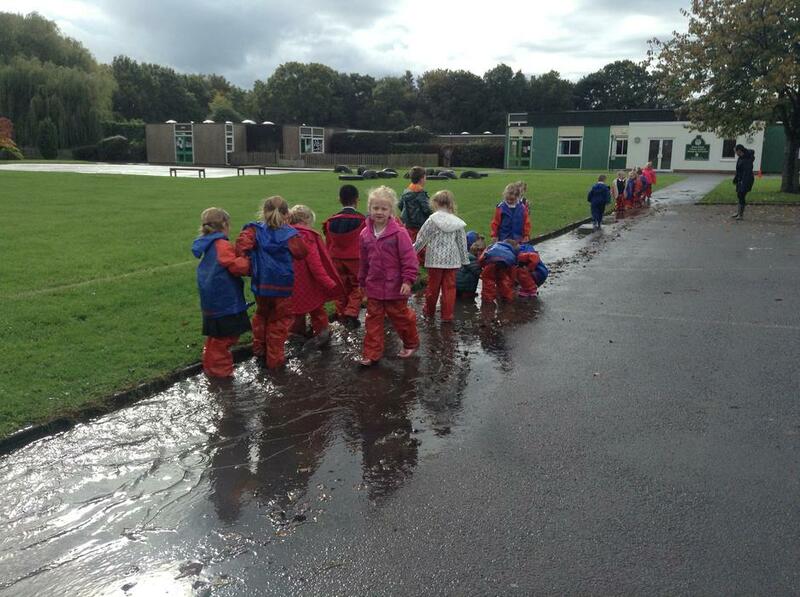 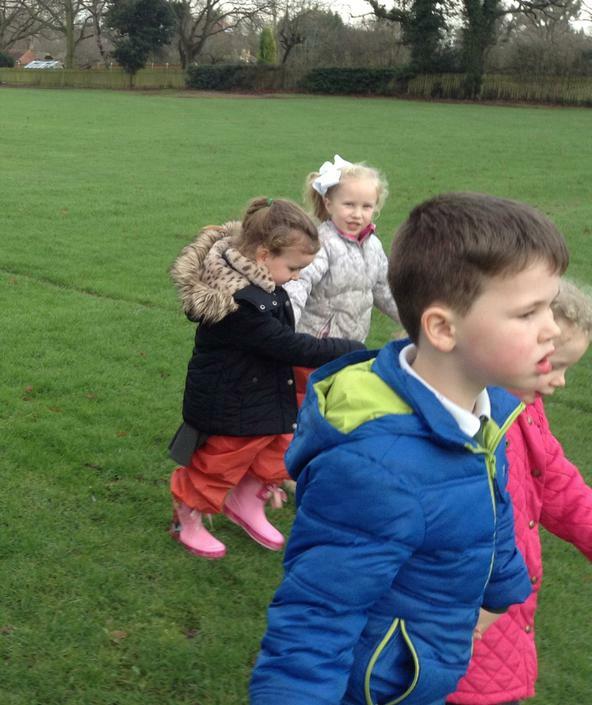 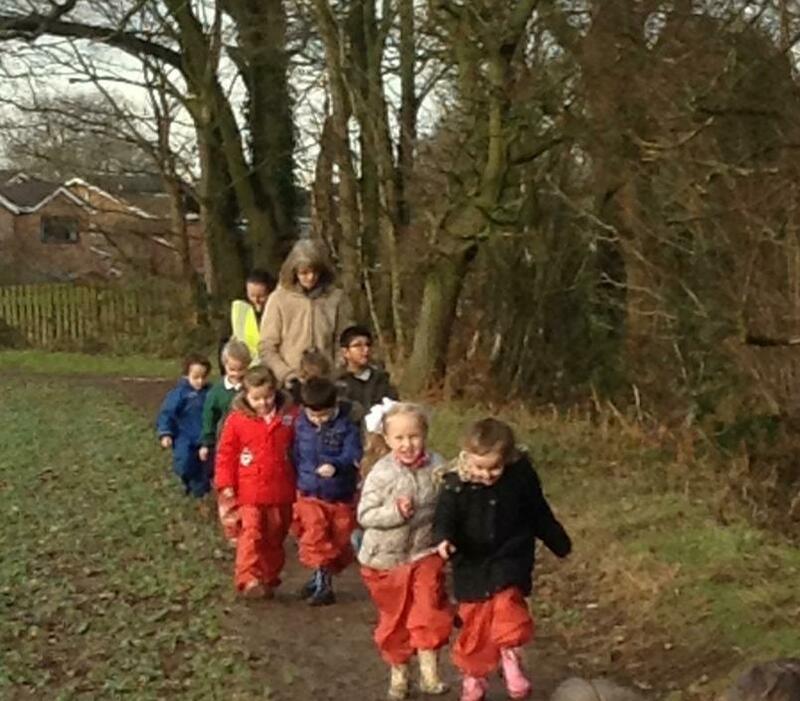 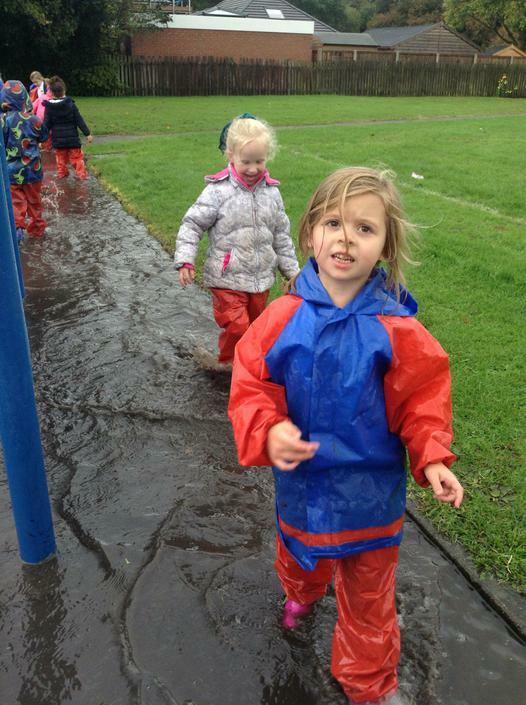 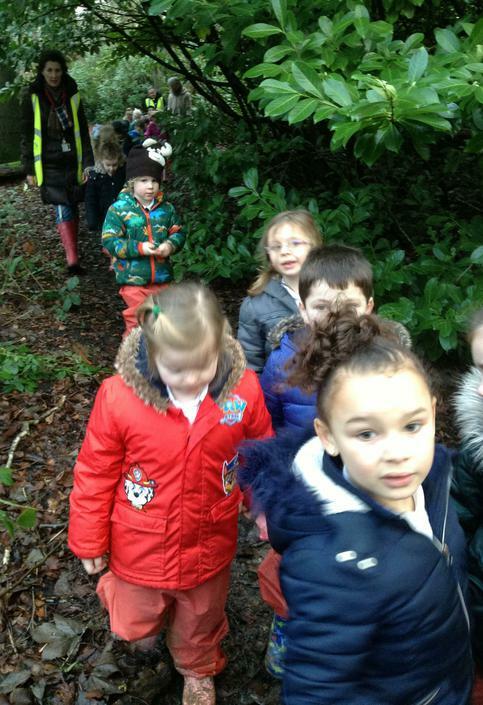 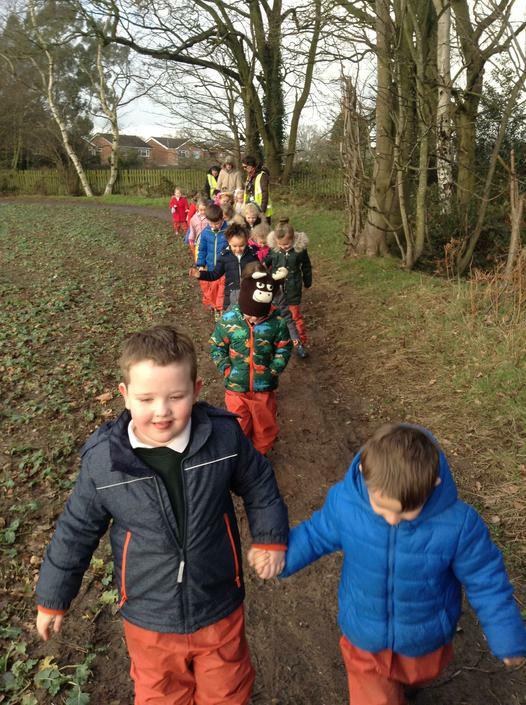 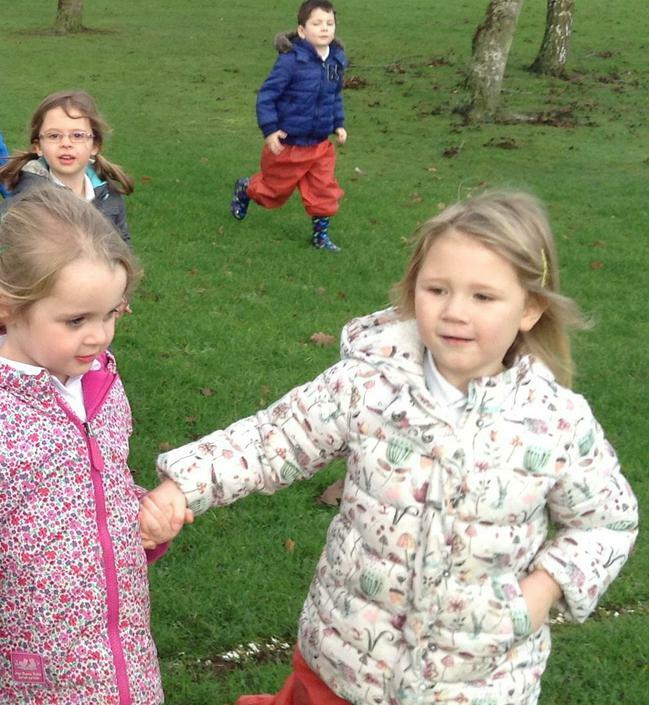 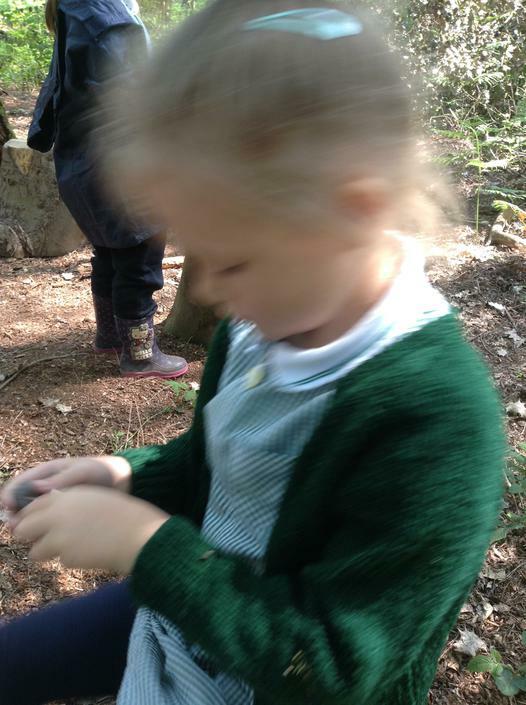 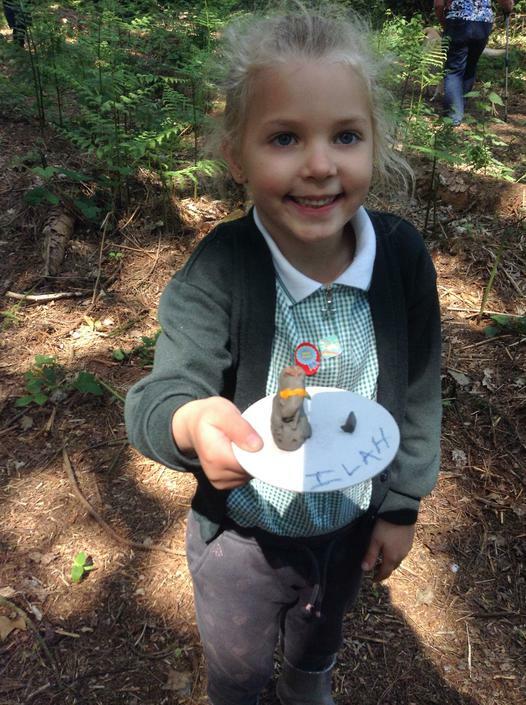 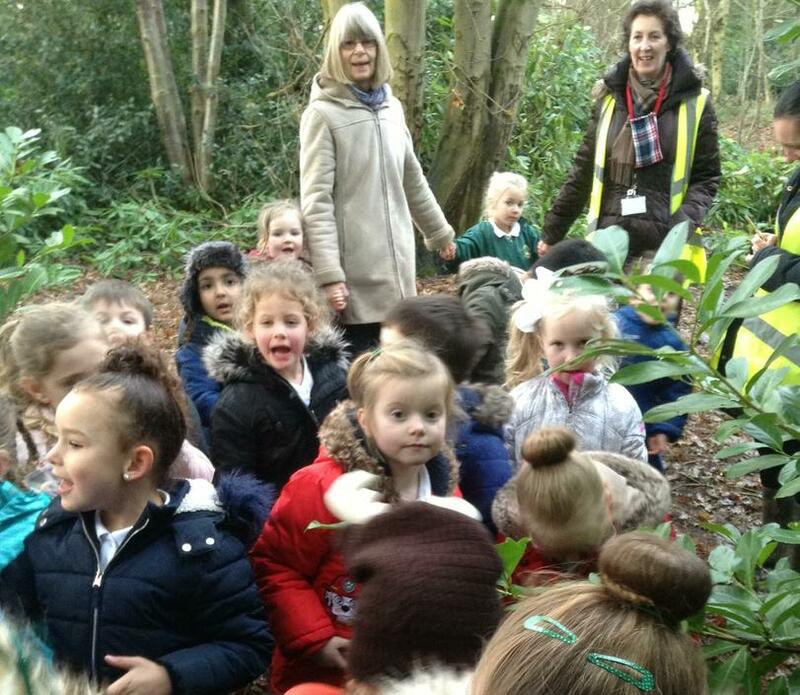 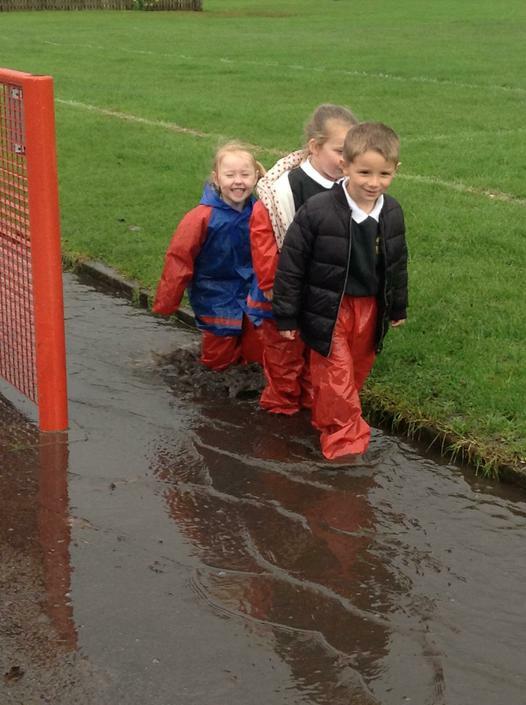 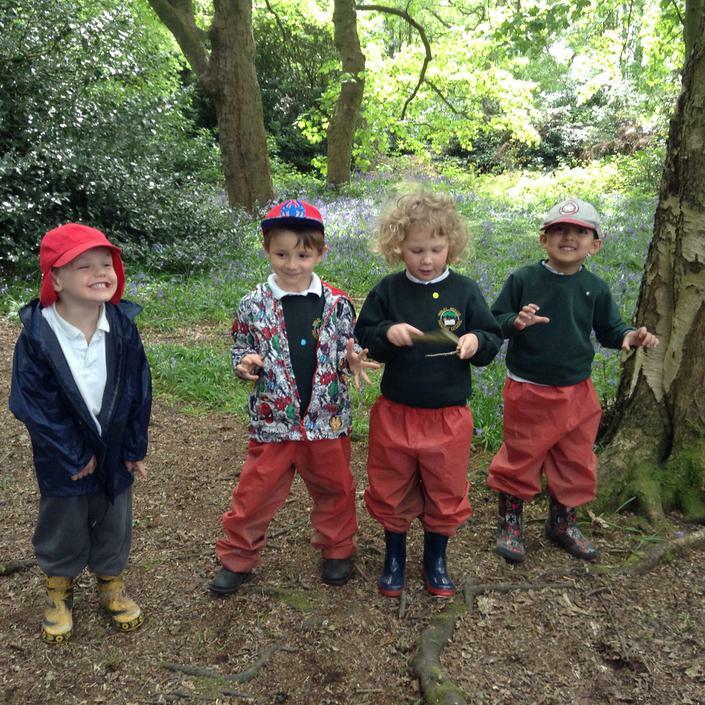 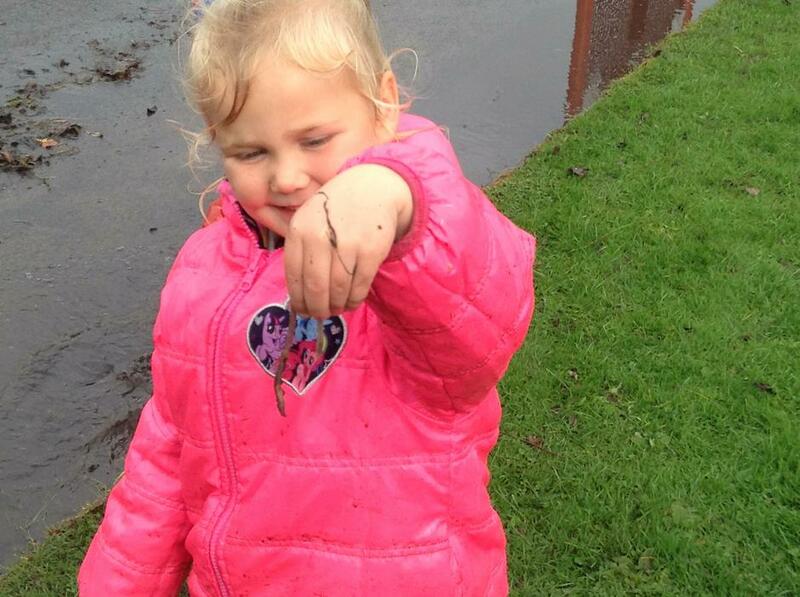 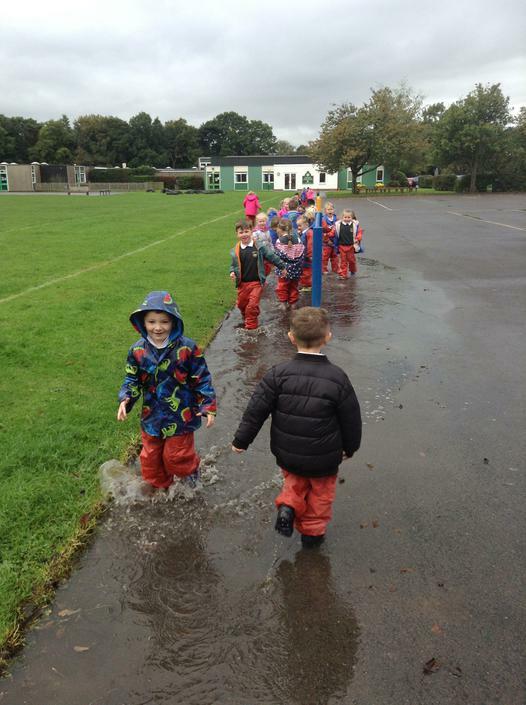 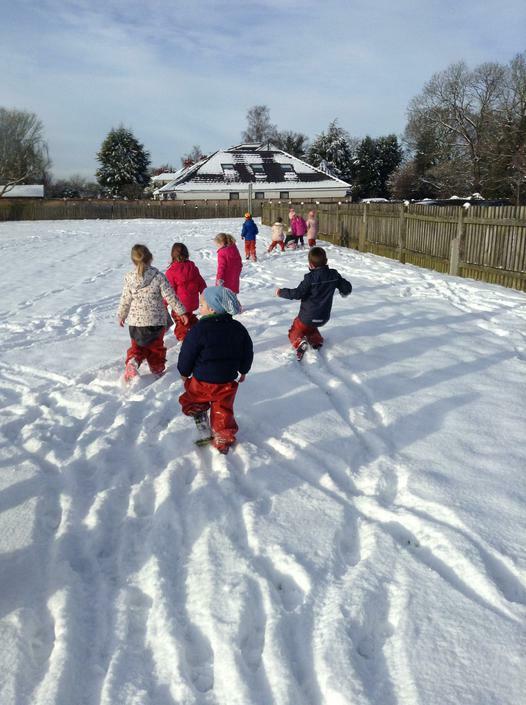 We will continue to go to the woods each week as part of our learning so please remember to send in jogging bottoms/leggings so your child has pro tected legs. 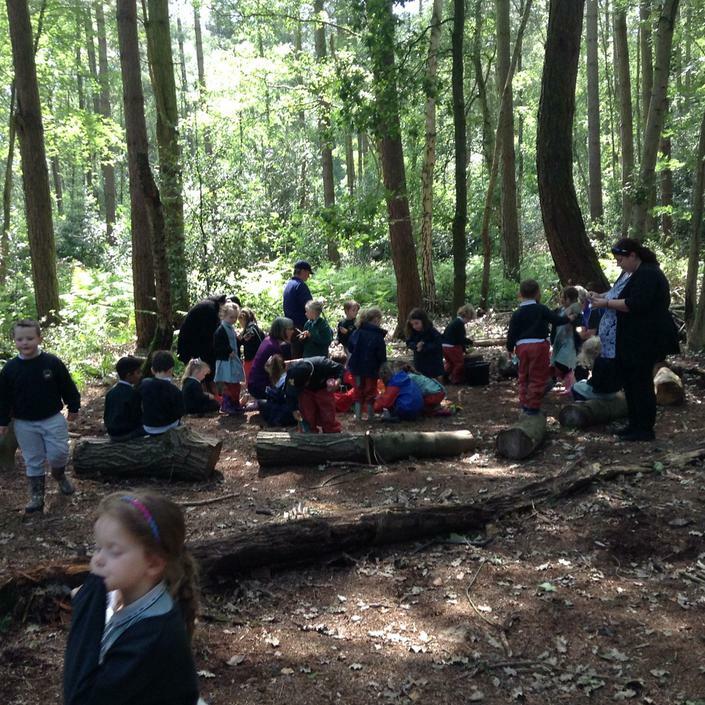 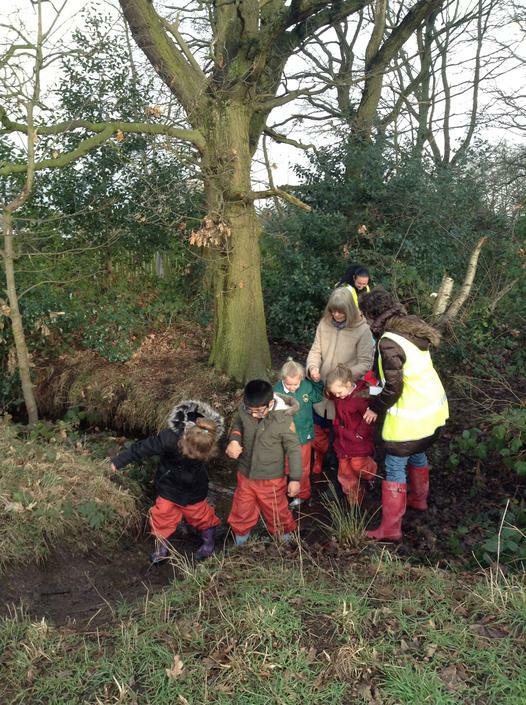 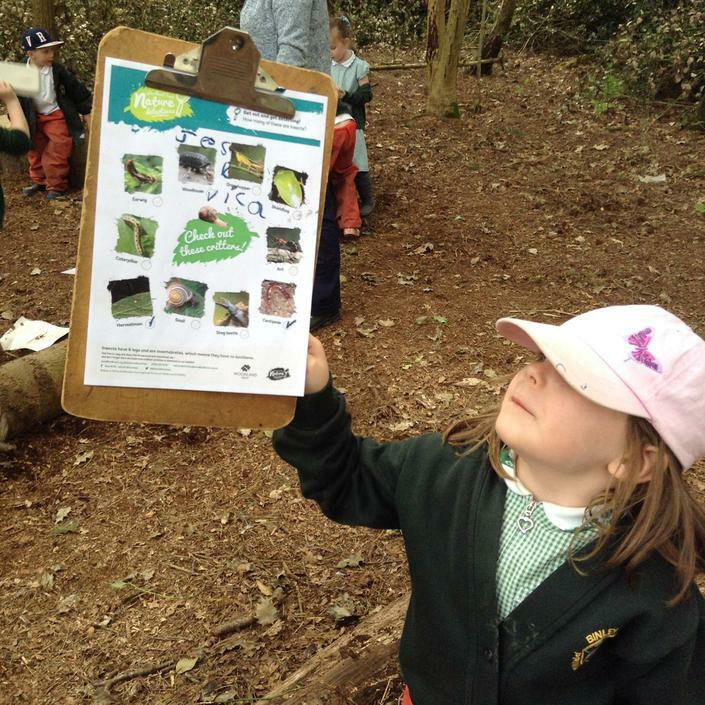 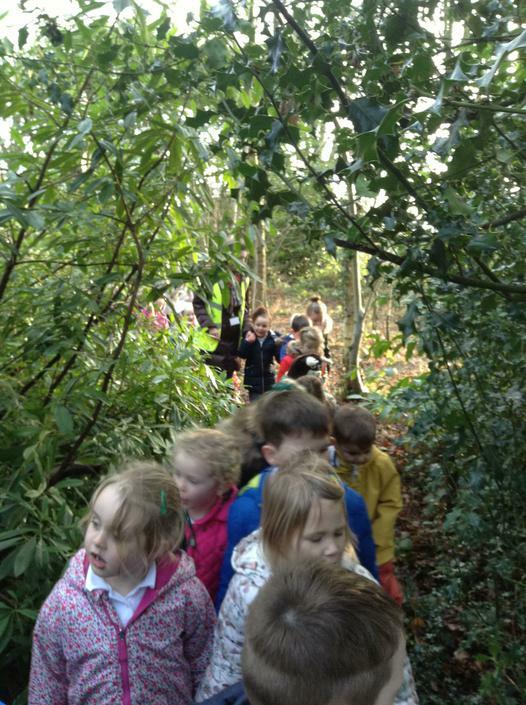 We are really enjoying our space in the woods which Friends of Brandon Wood have made for us. 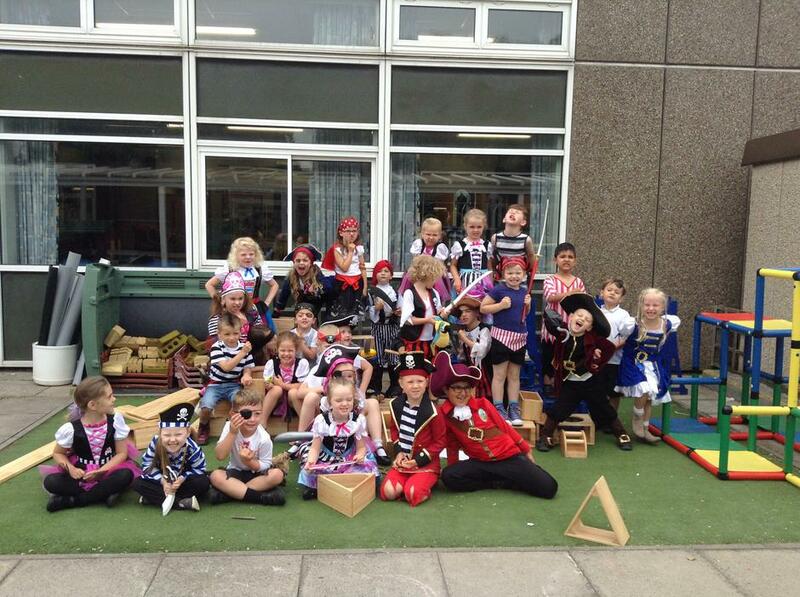 What an amazing group of people they are and their support has been very much appreciated. 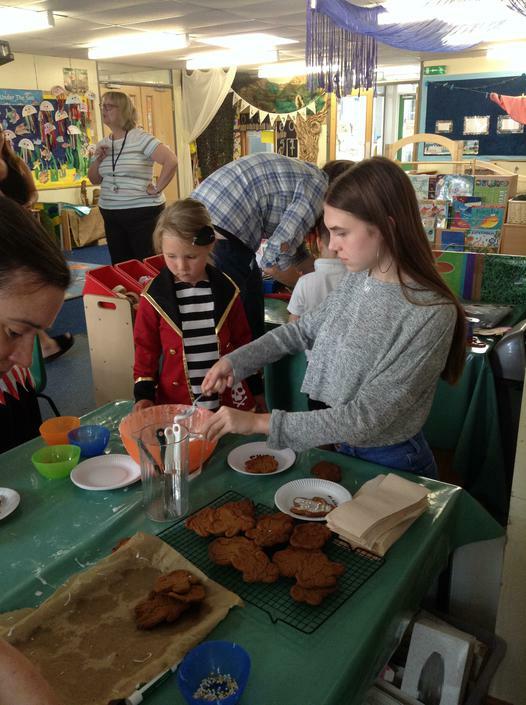 We also are very grateful to all the adults who come and help us each week, we certainly couldn't do the range of activities without you! 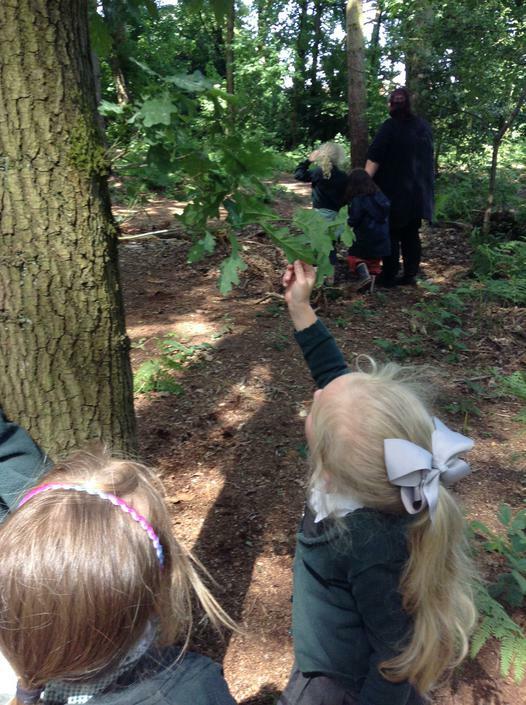 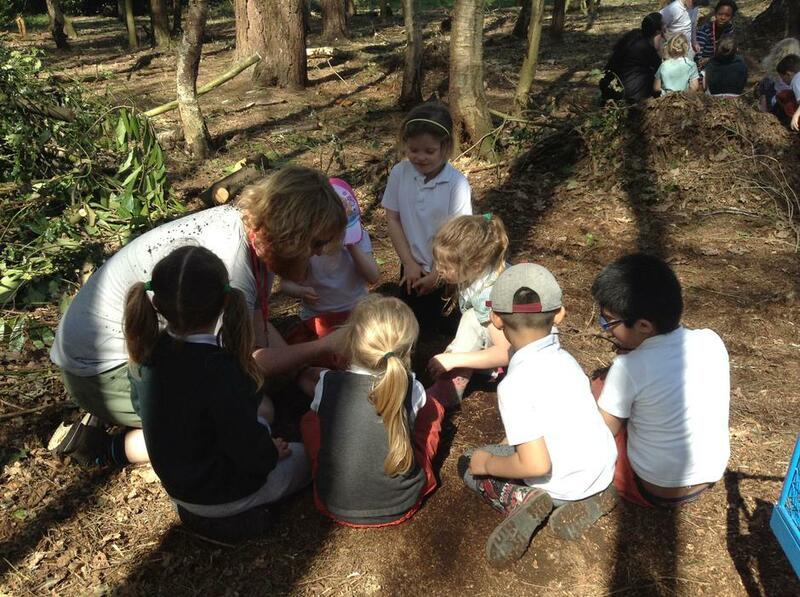 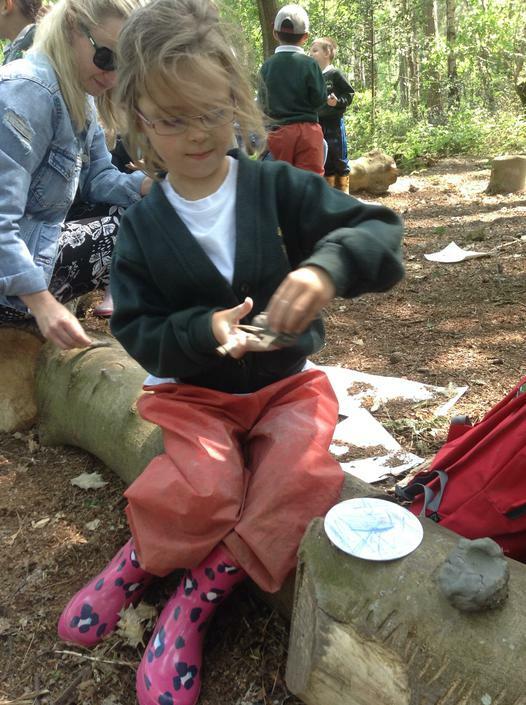 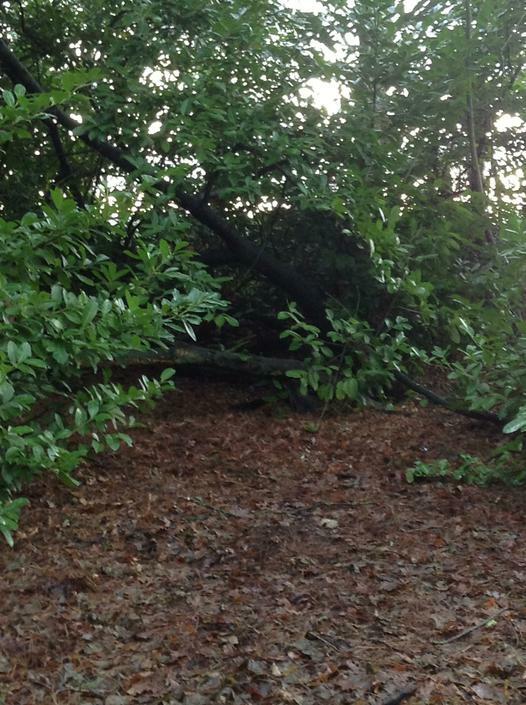 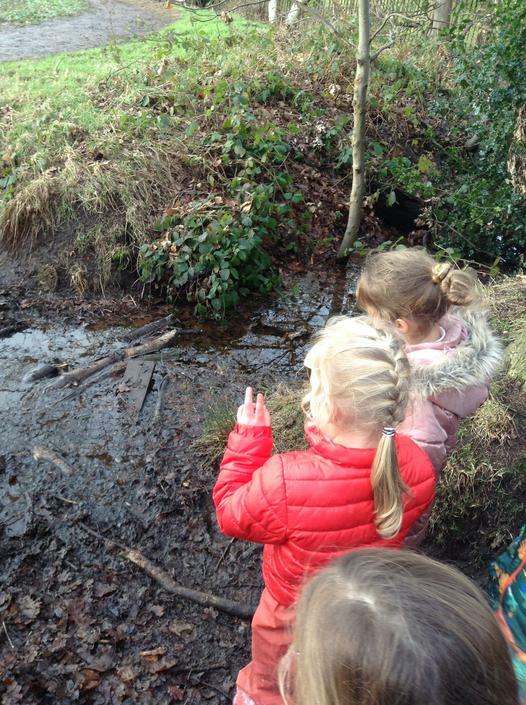 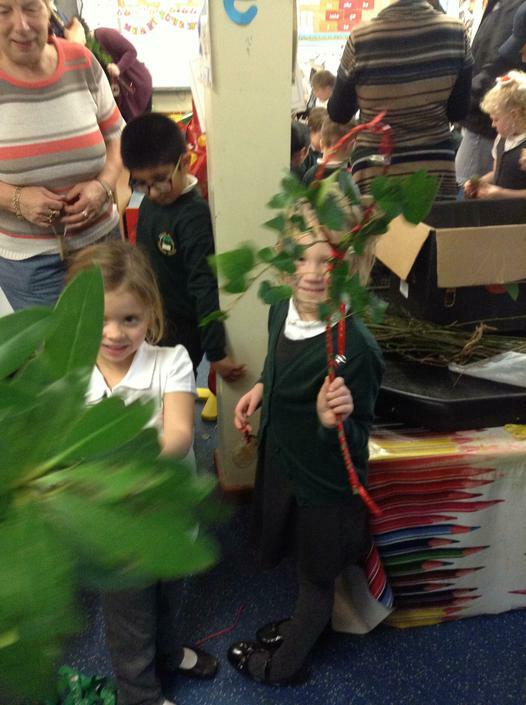 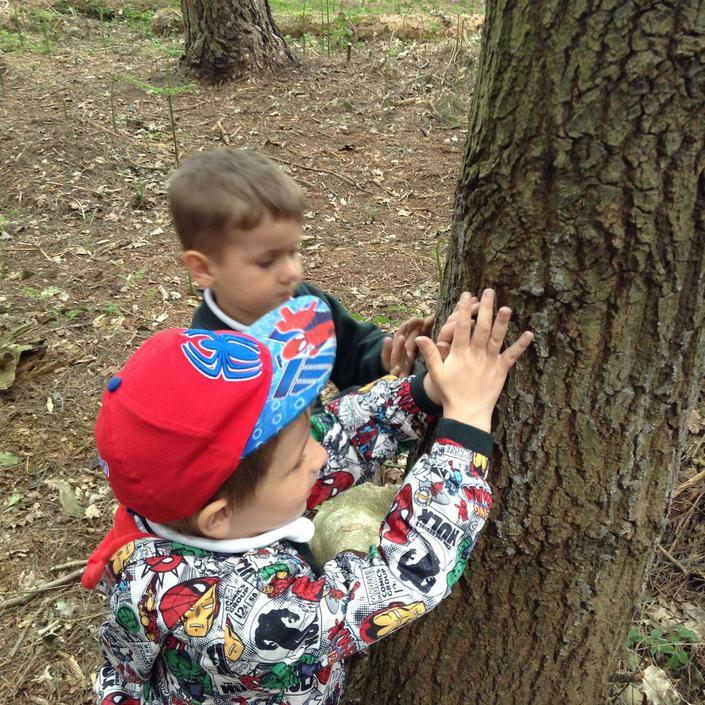 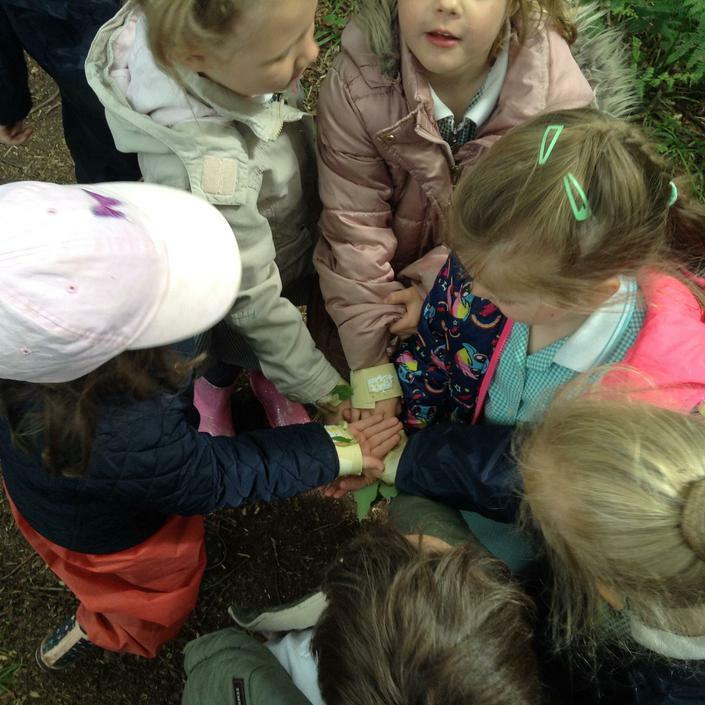 This term we will be making pirate rafts with materials we find in the woods. 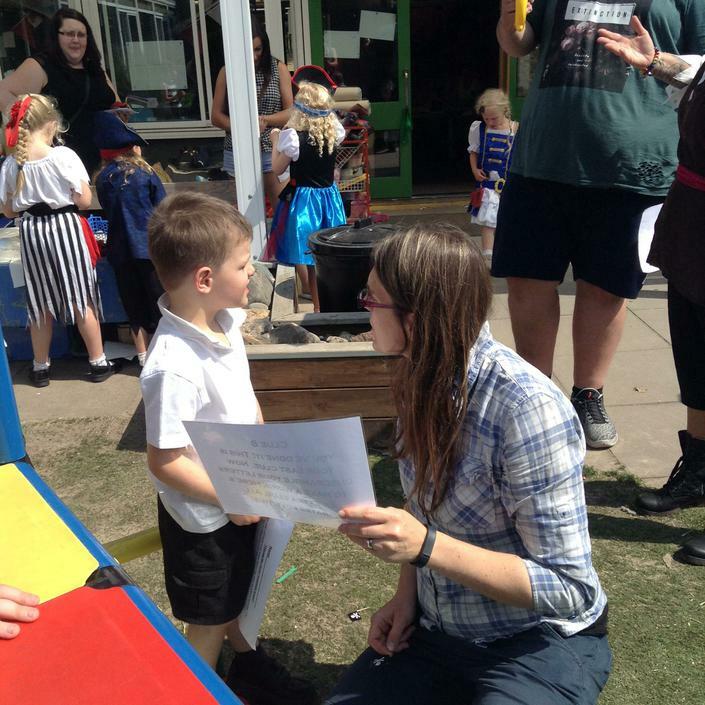 We will also have a treasure hunt, collect all the things a pirate might need on a ship and practise our (not very high) climbing skills so we can sort out the pirate ship rigging! 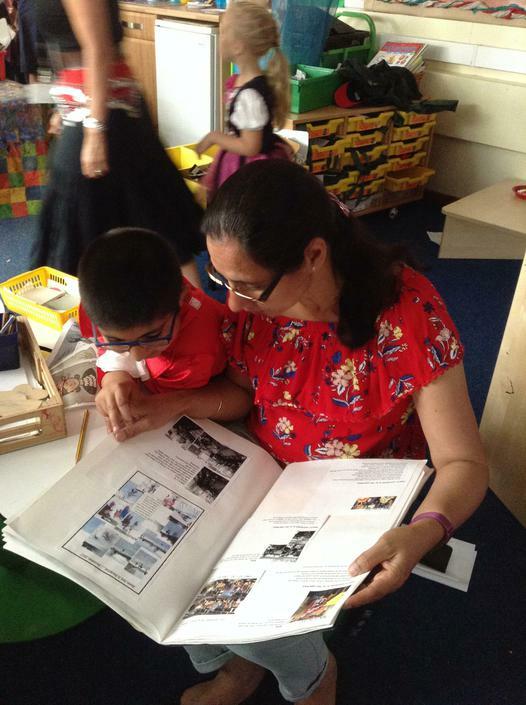 To complement our work on Pirates and the Seven Seas we will be reading A New Home For a Pirate, The Night Pirates, The Snail and the Whale and non-fiction texts on Pirates. 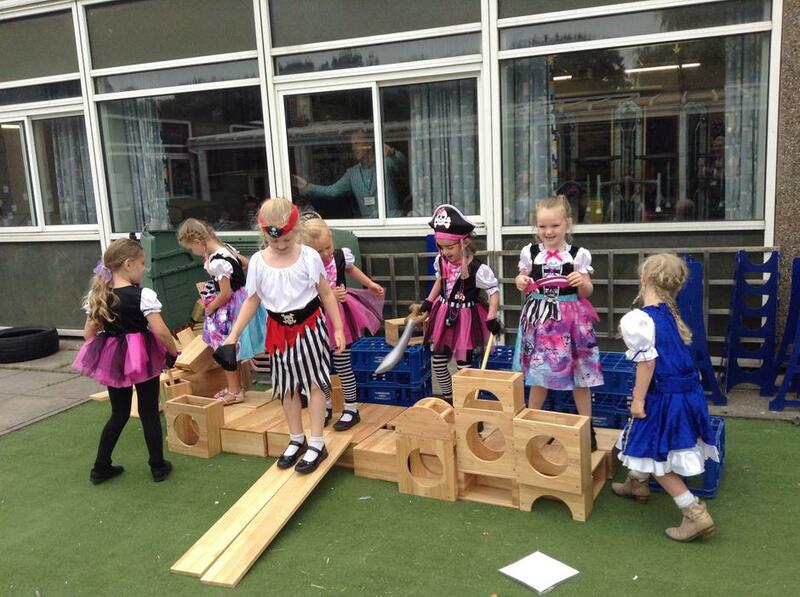 Please feel free to send in any pirate work completed at home. 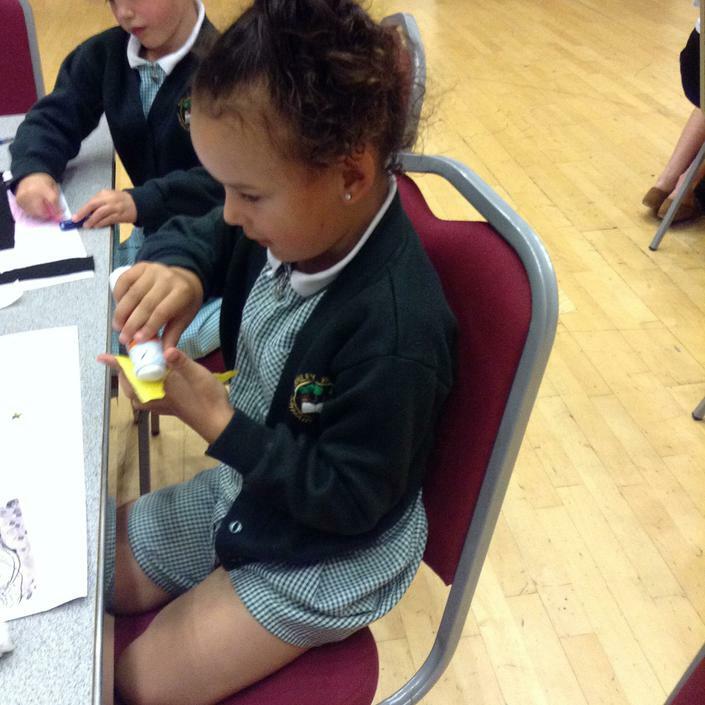 We will continue to practise using our phonics to help spell words and will be working on our handwriting and finger spaces so that our writing is easy to read! 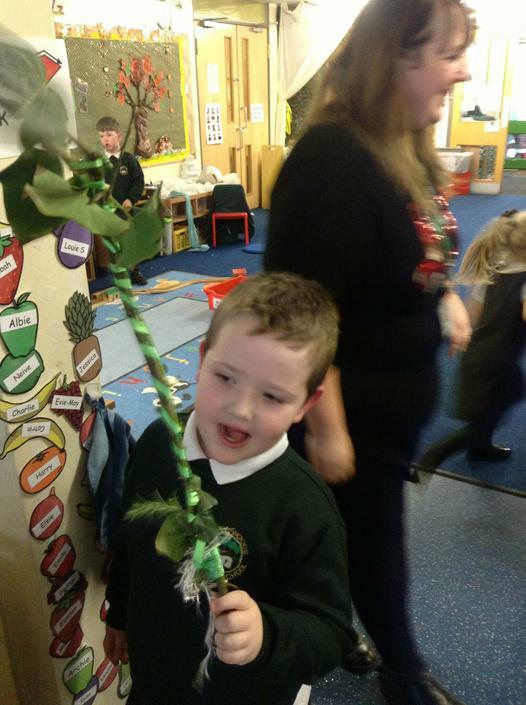 We will be learning about two and three syllable words. 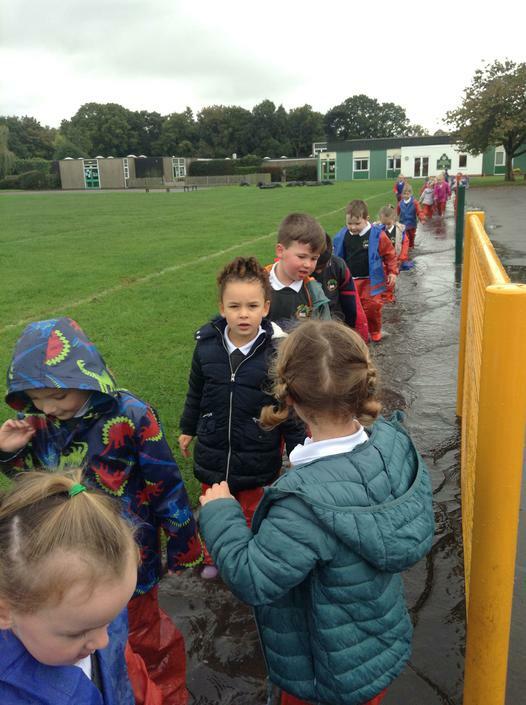 This term we will be focussing on problem solving in maths, adding by counting on and subtracting by counting back using a number line. 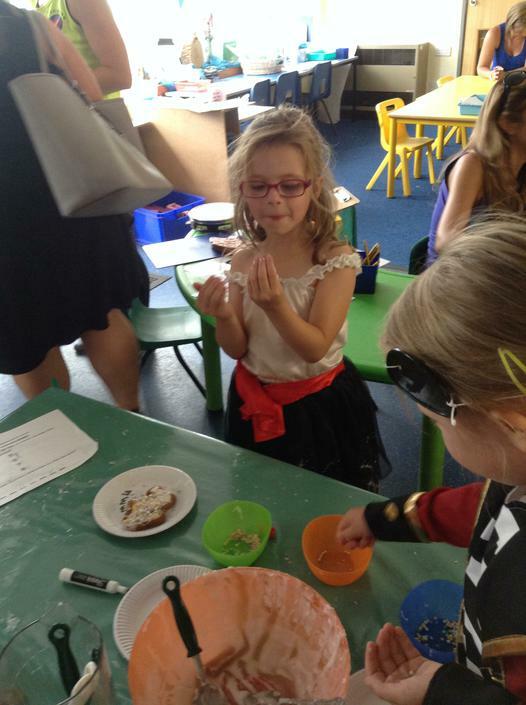 We will also be measuring everything from lengths and heights, liquids (very important when concocting pirate bubble mixture), time, and weight, as we may need to know how to make pirate grub! 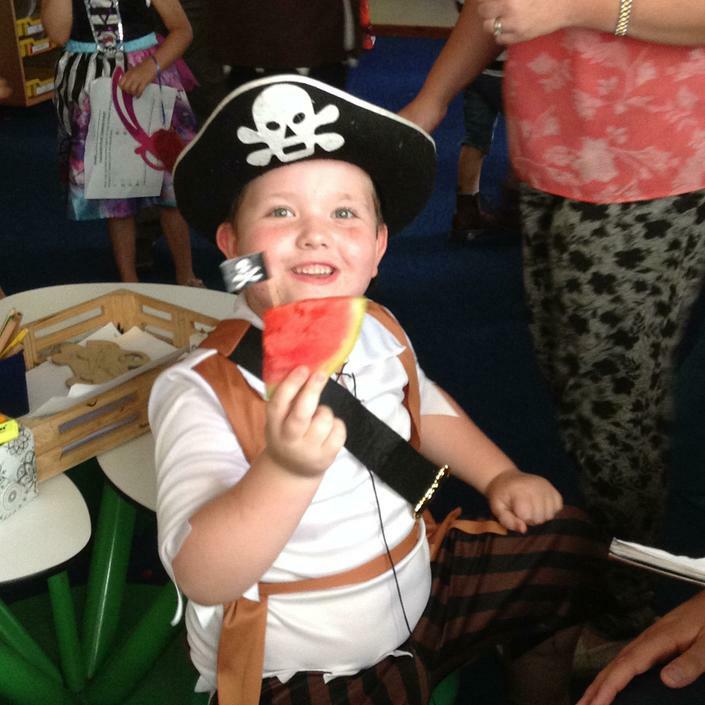 You could try comparing and ordering sizes at home, time how long things take, make pirate grub so you can be a handy ship mate! 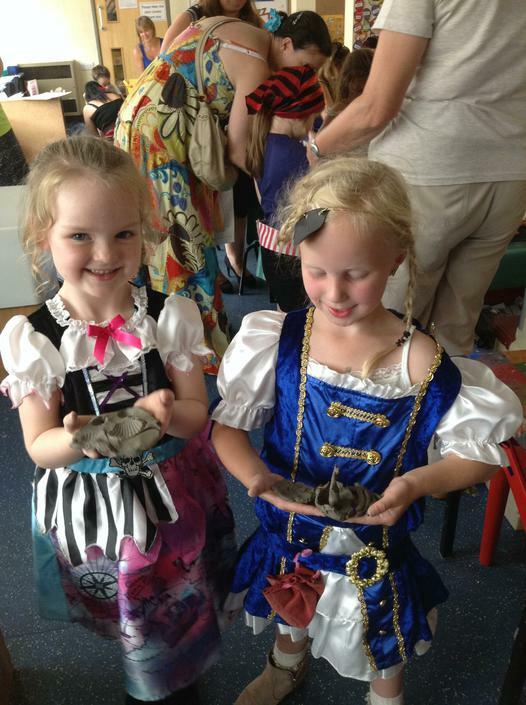 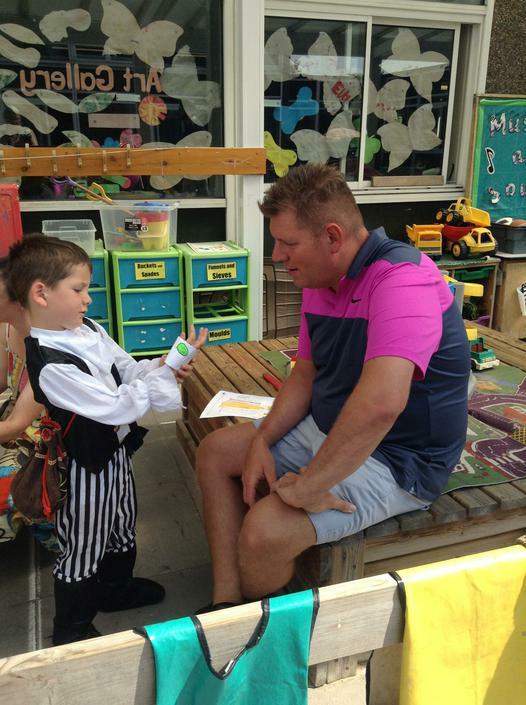 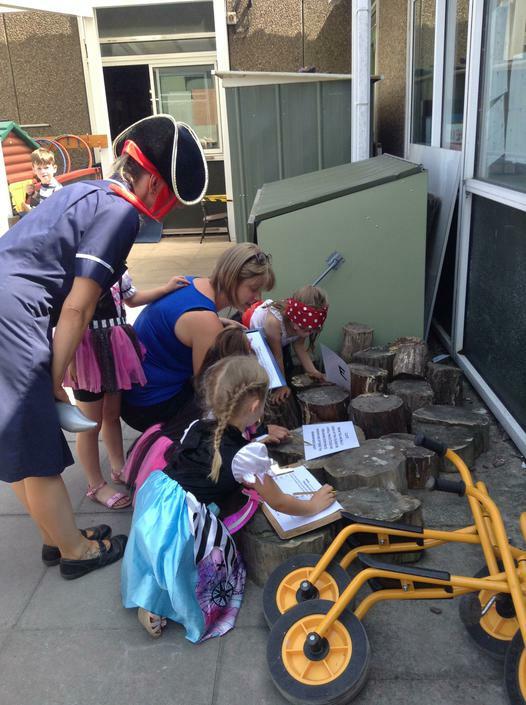 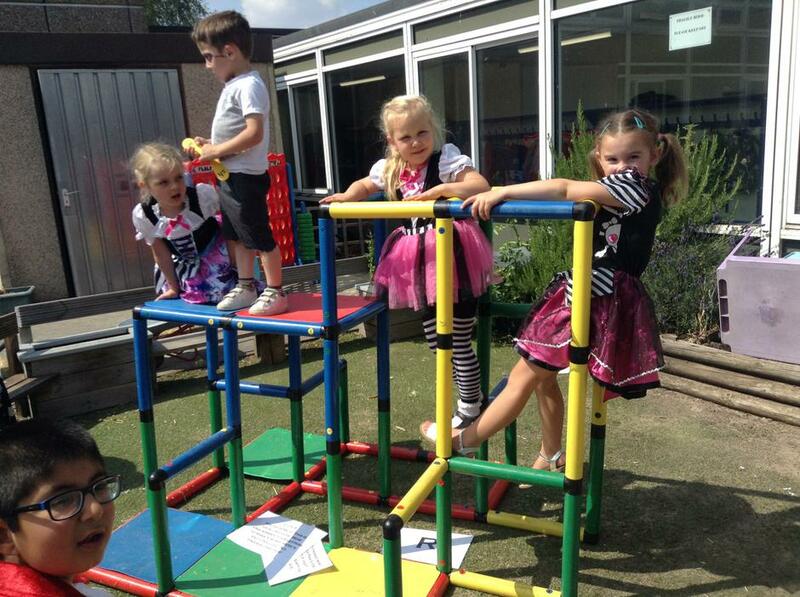 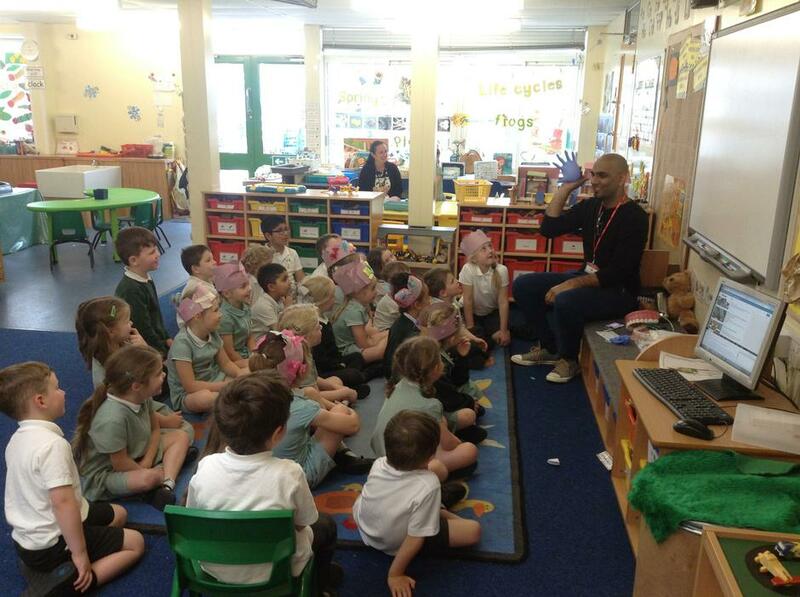 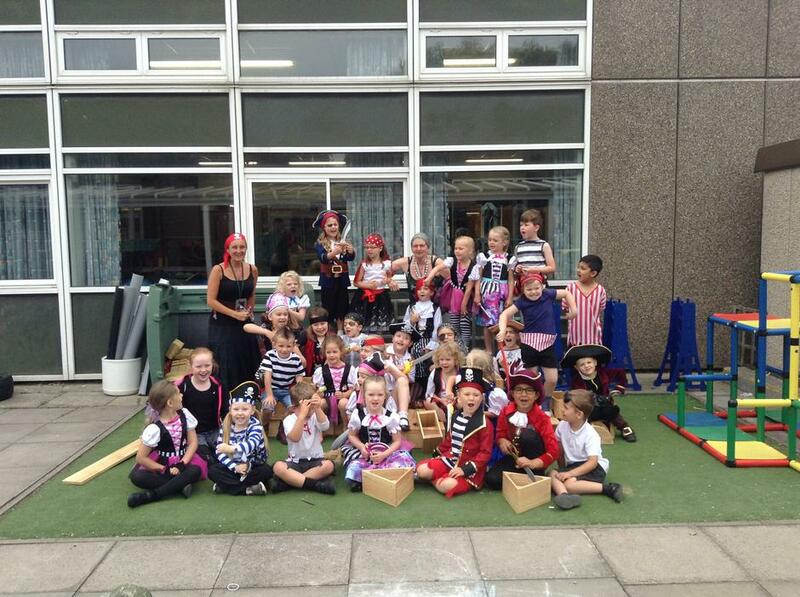 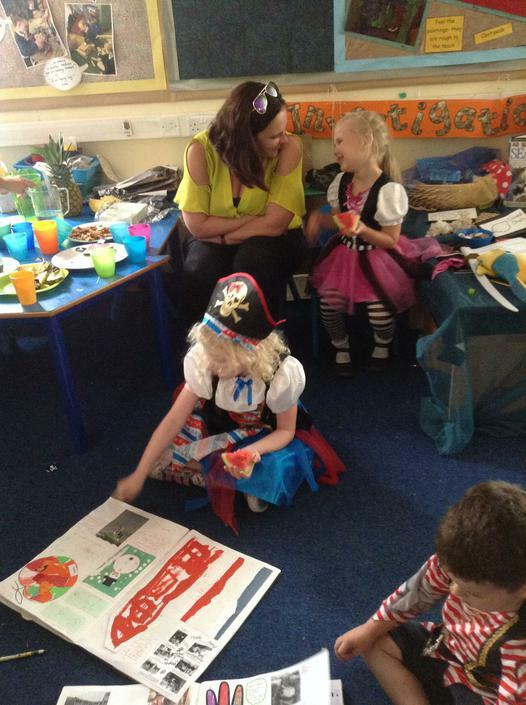 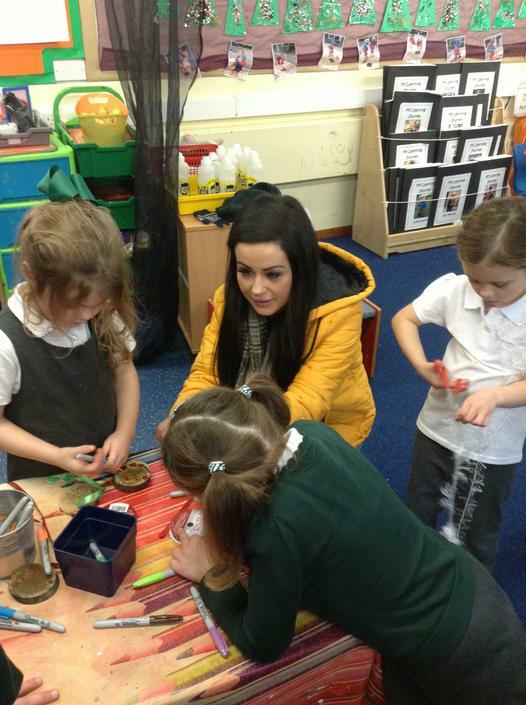 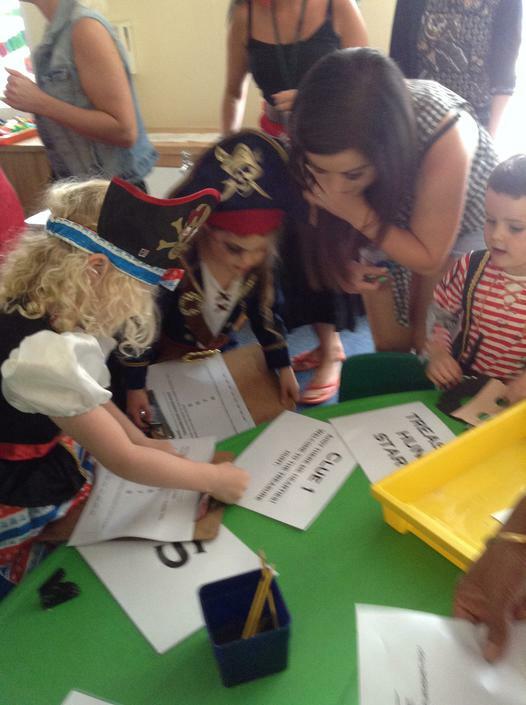 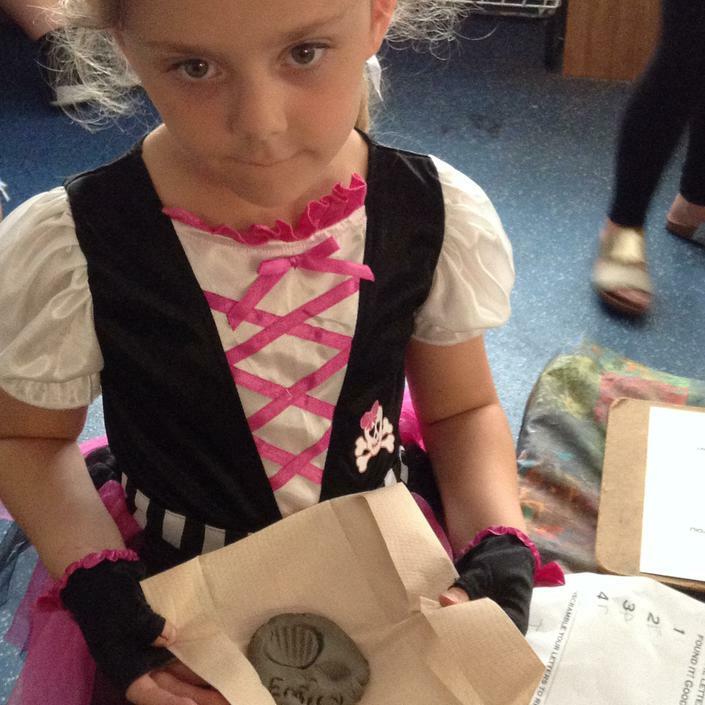 Pirate Day in Reception! 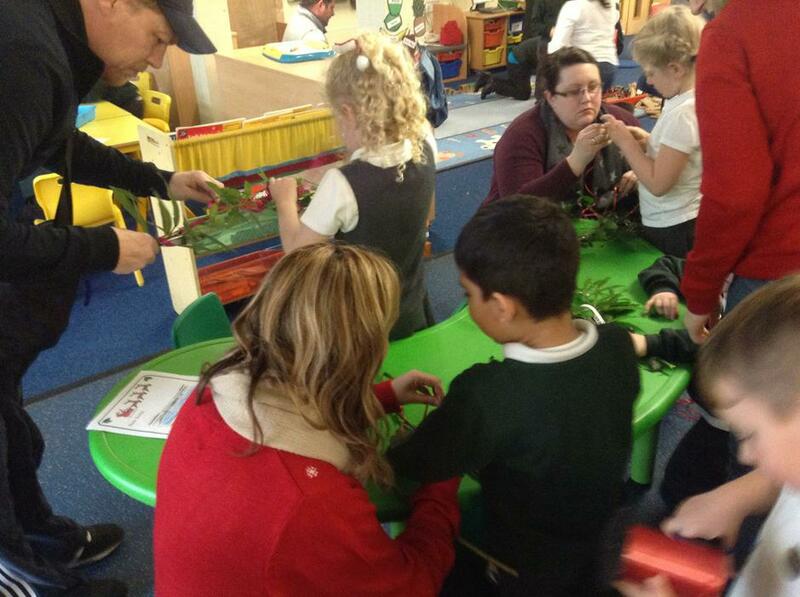 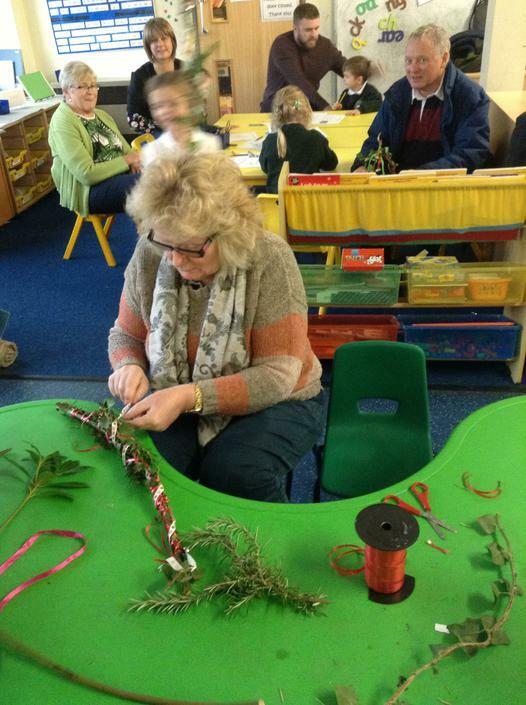 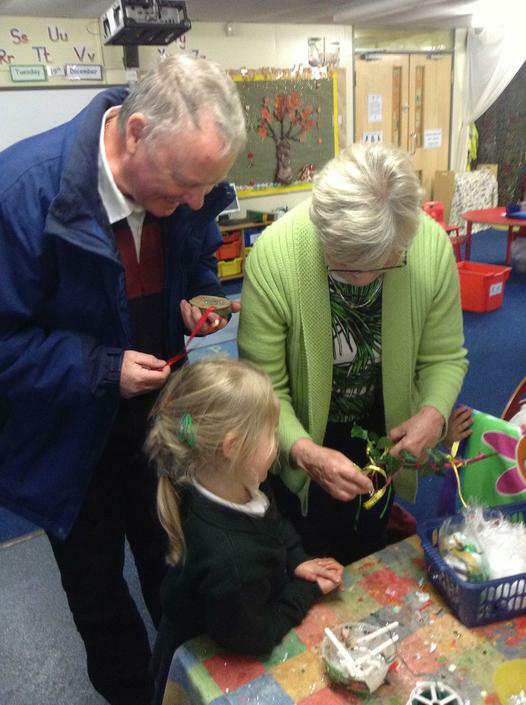 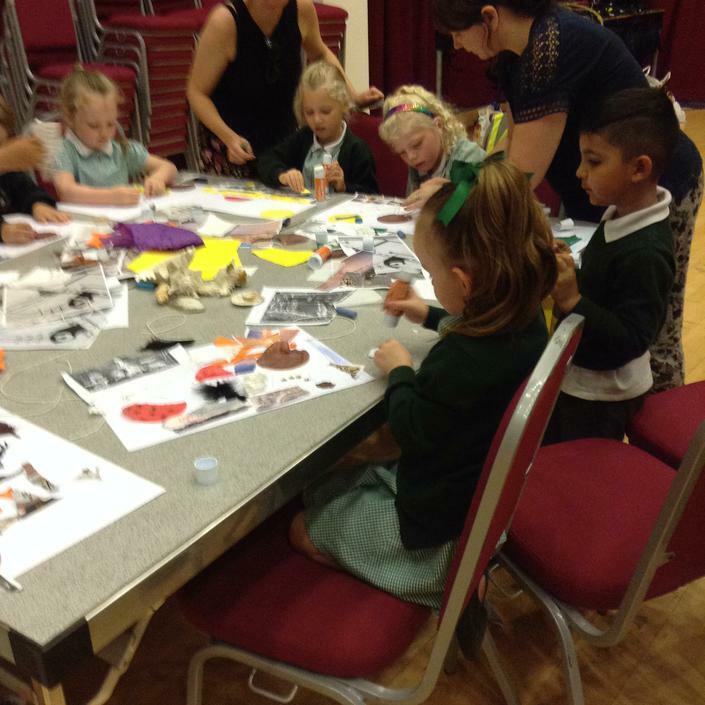 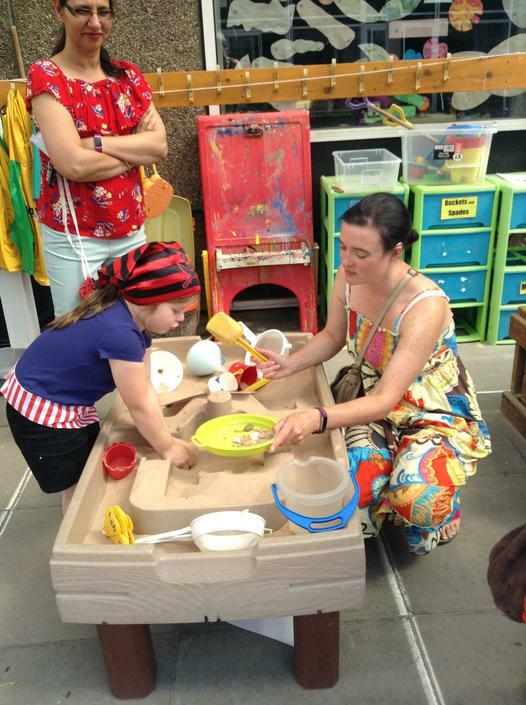 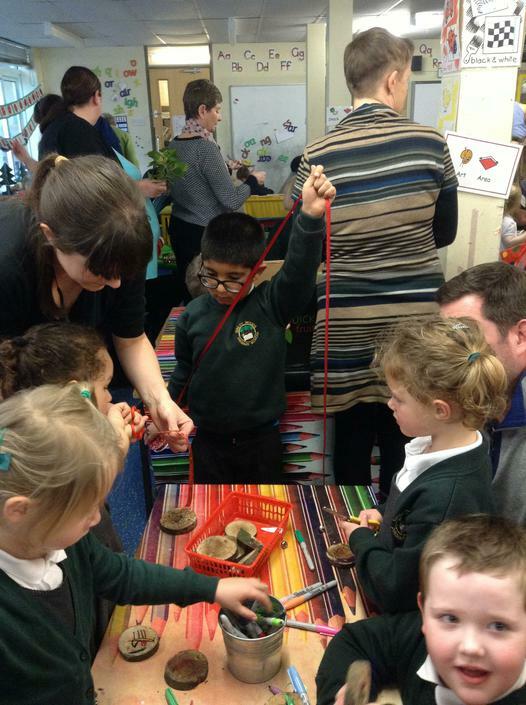 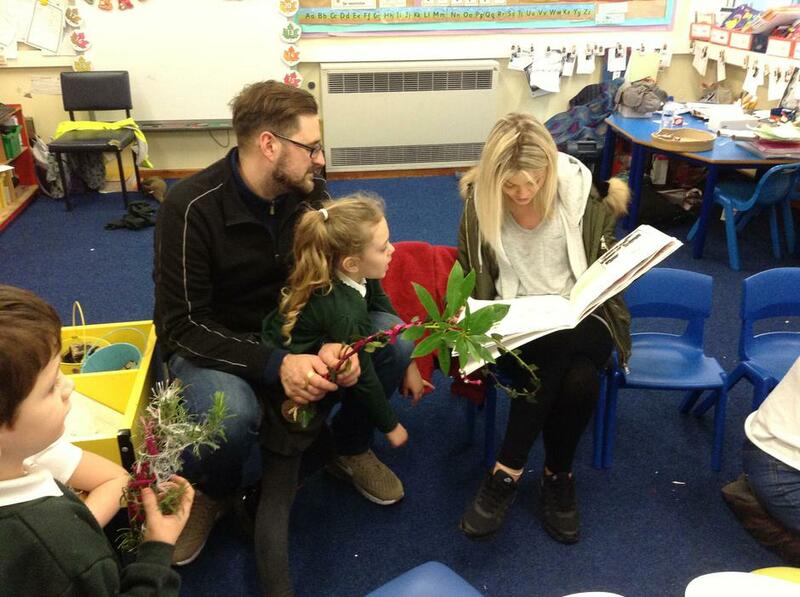 Thanks so much to all parents and grandparents who came to share a lovely afternoon! 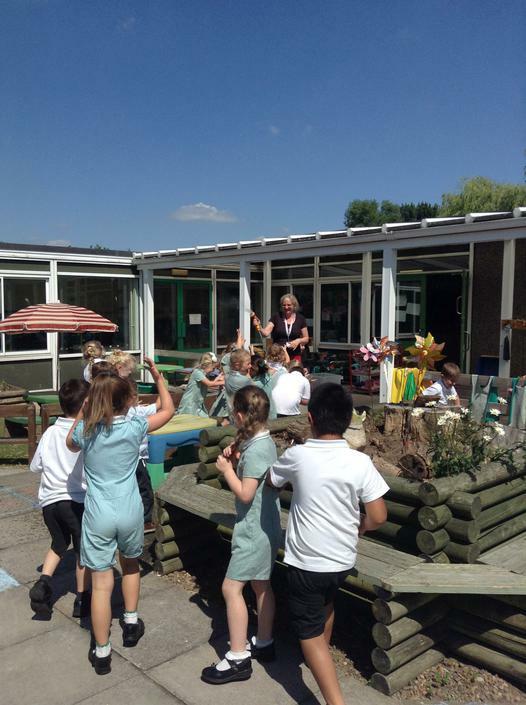 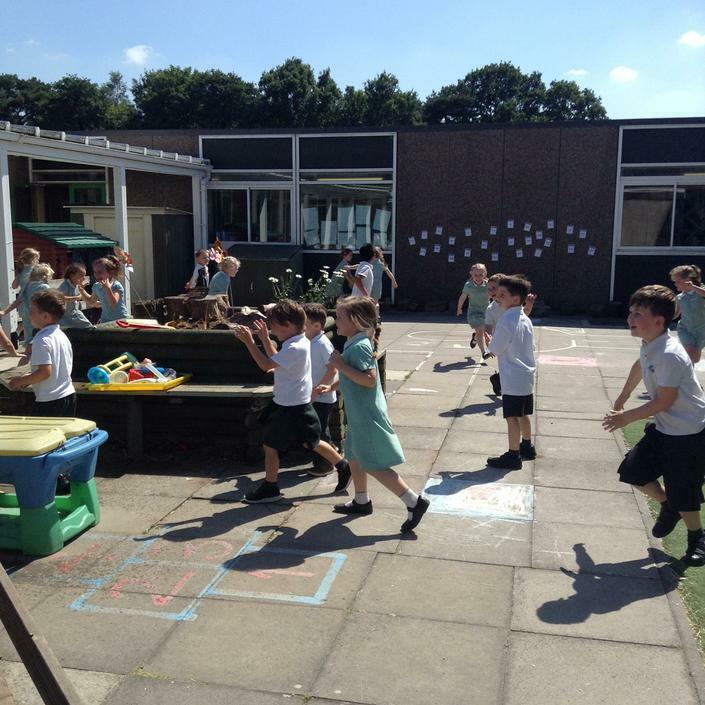 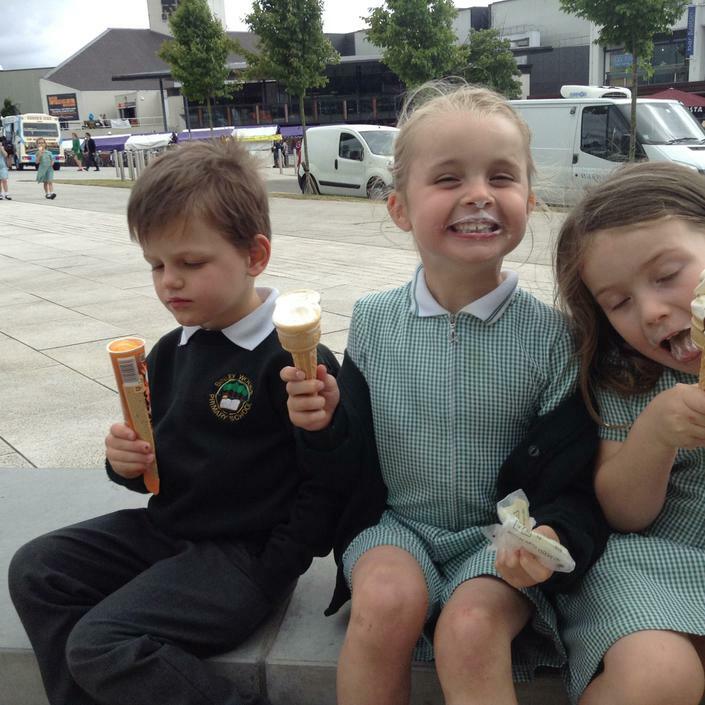 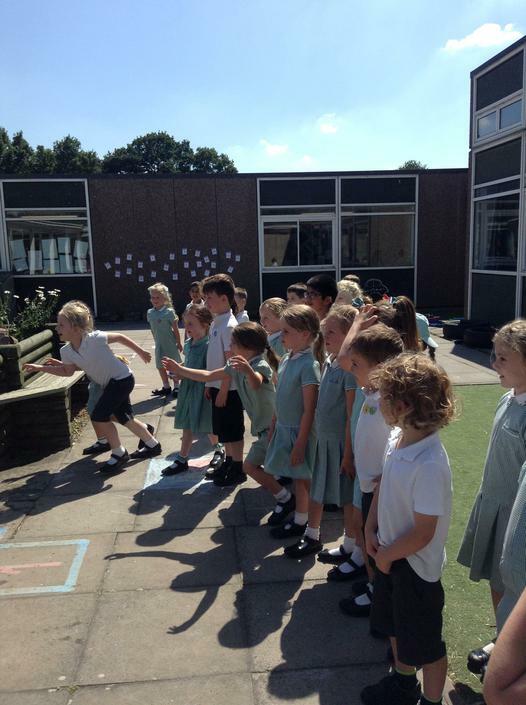 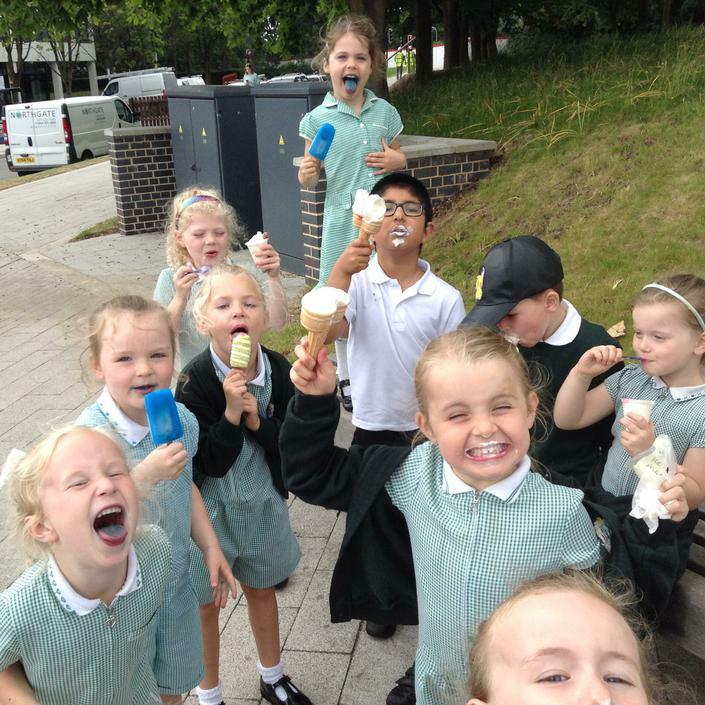 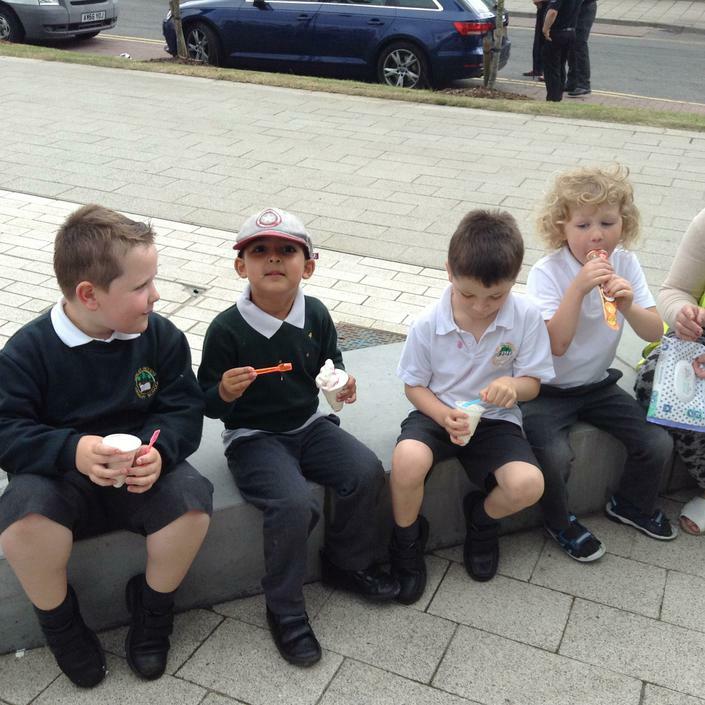 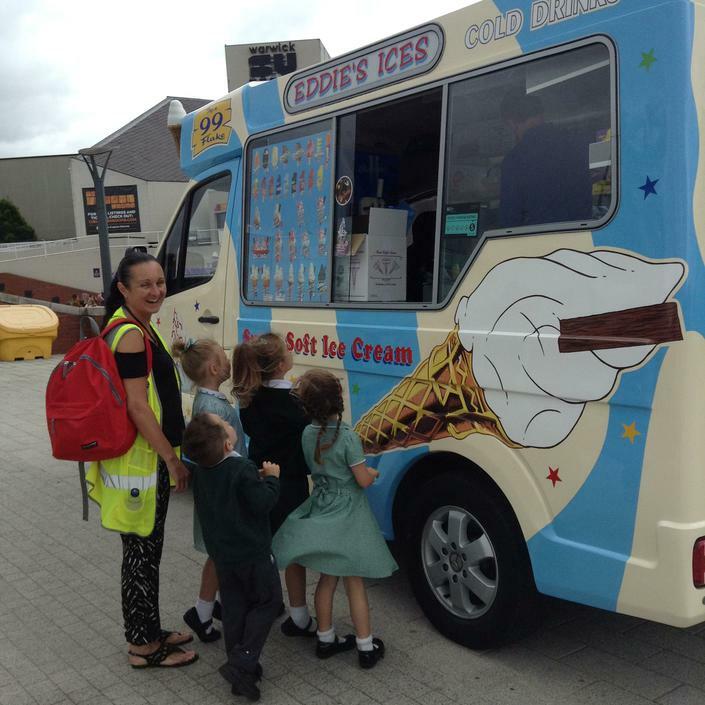 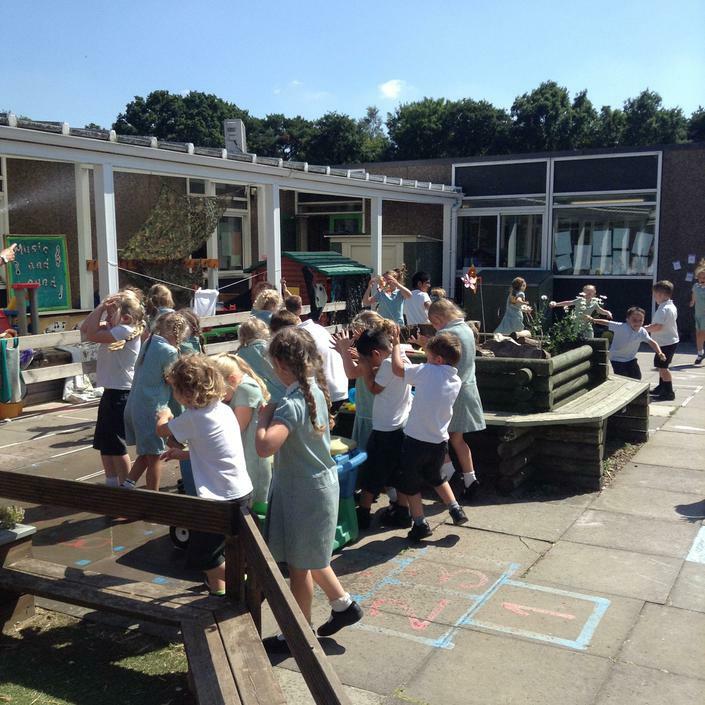 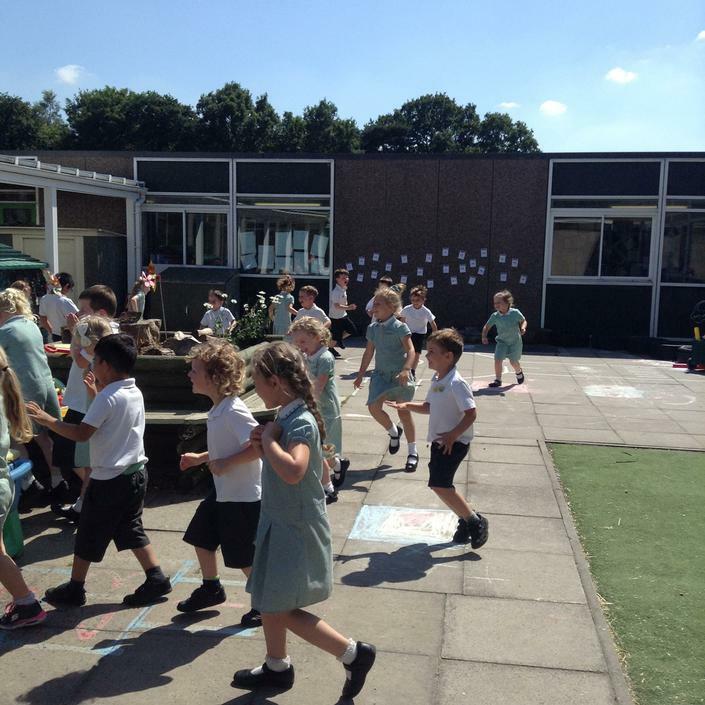 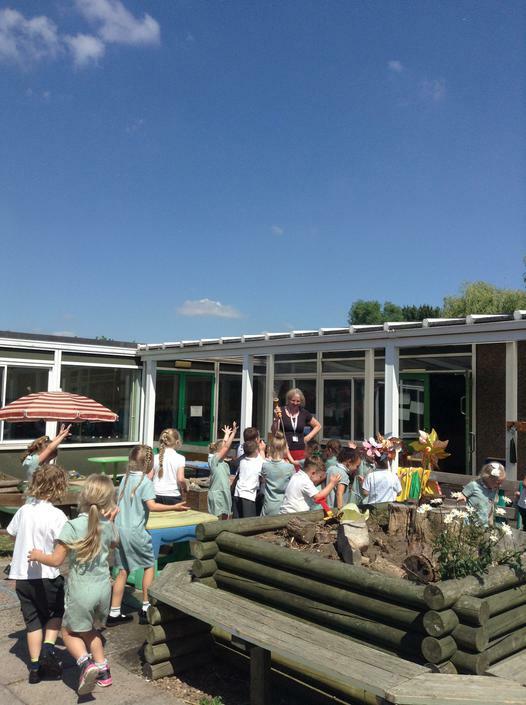 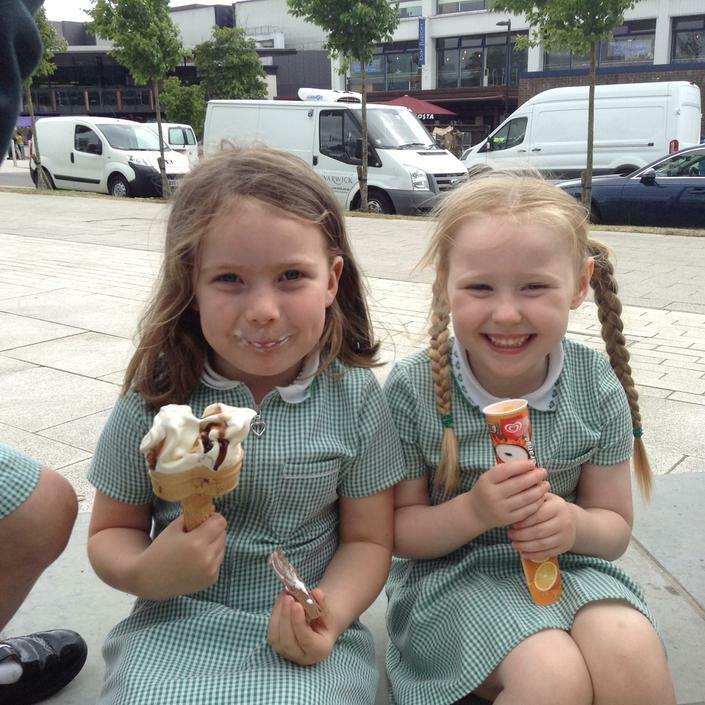 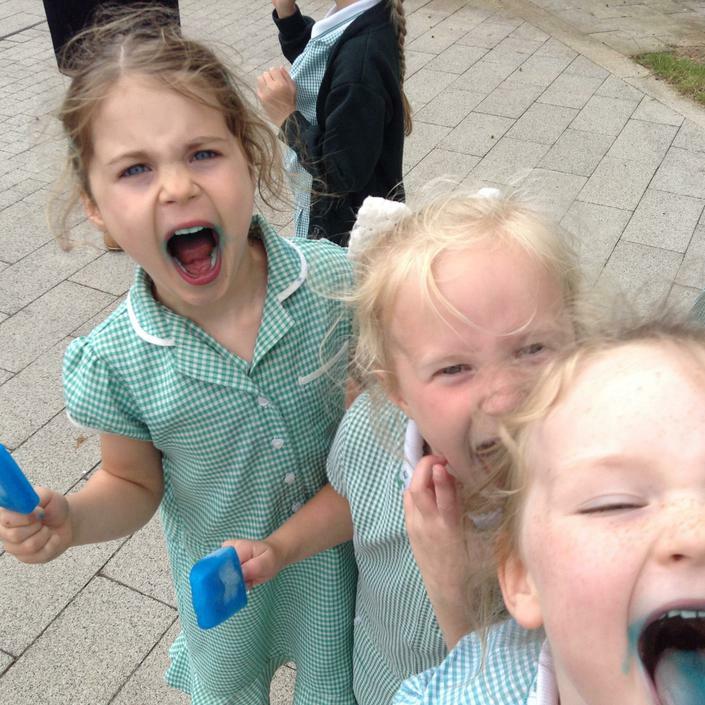 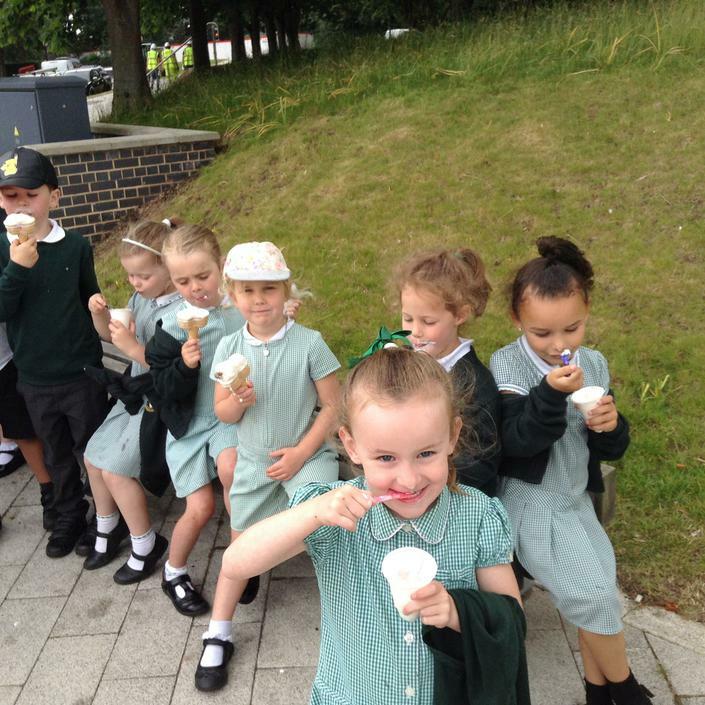 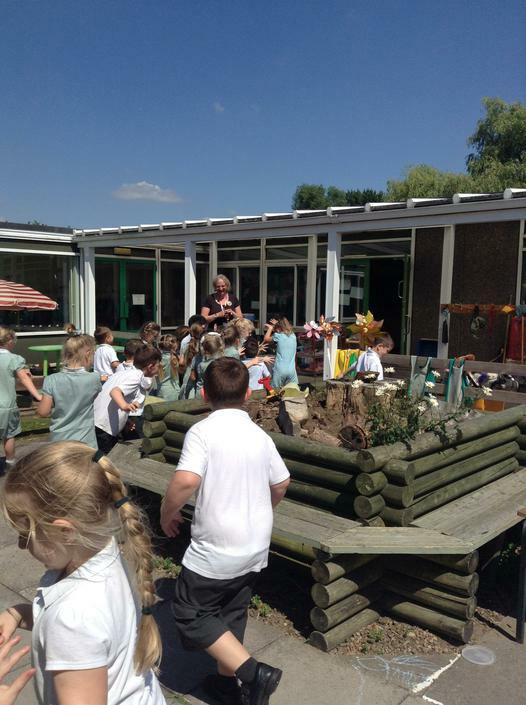 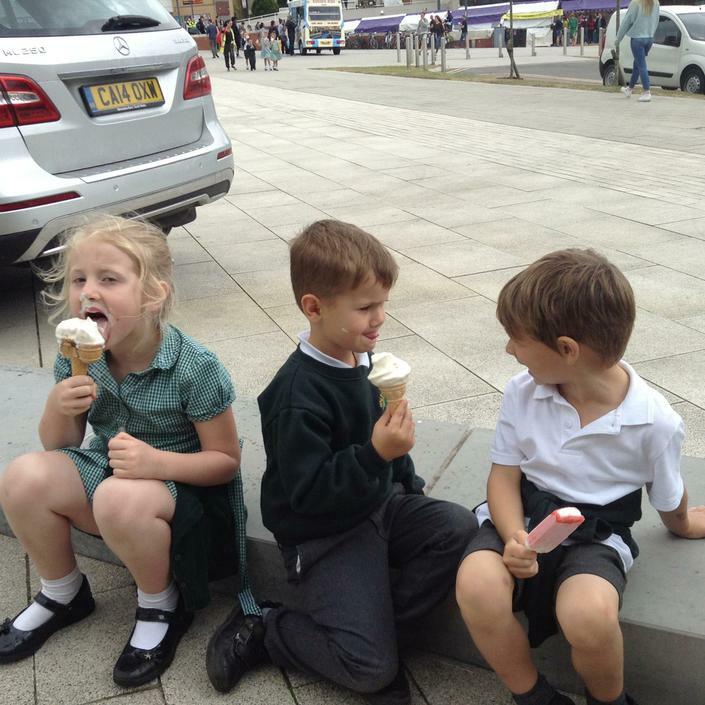 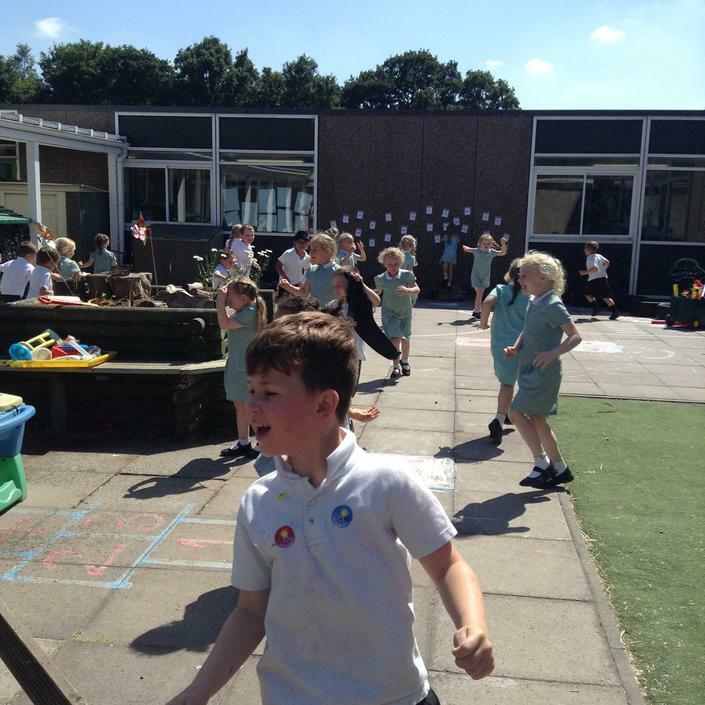 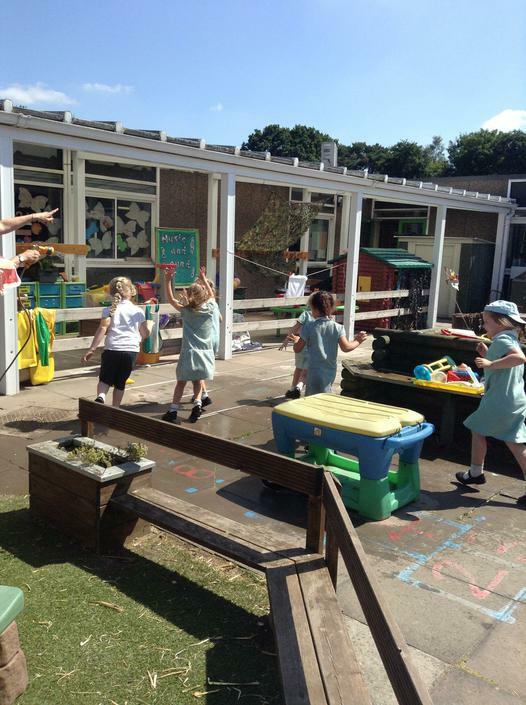 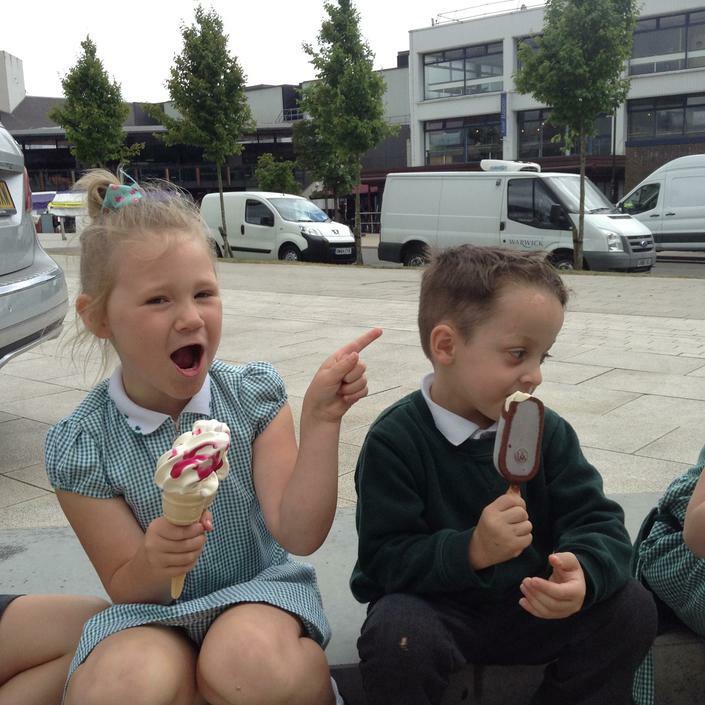 What do we do on a hot day in Reception? 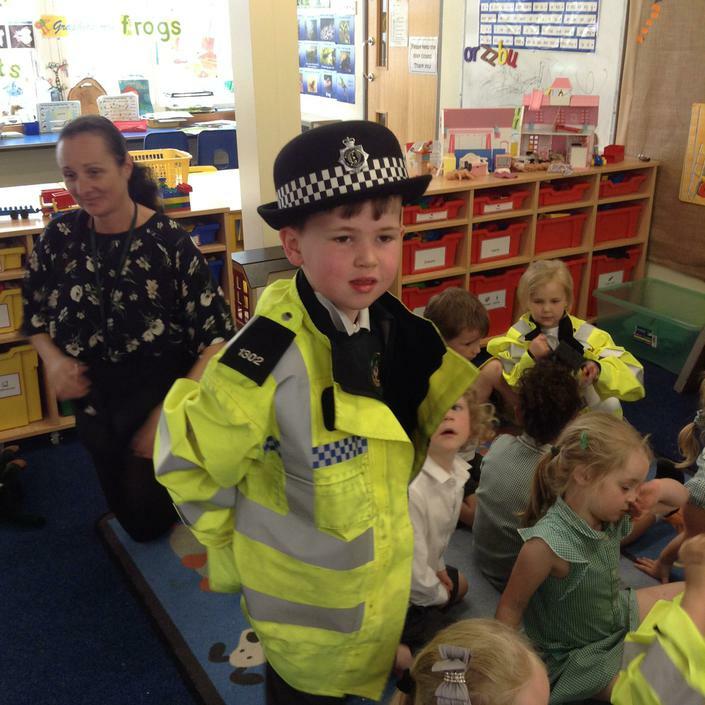 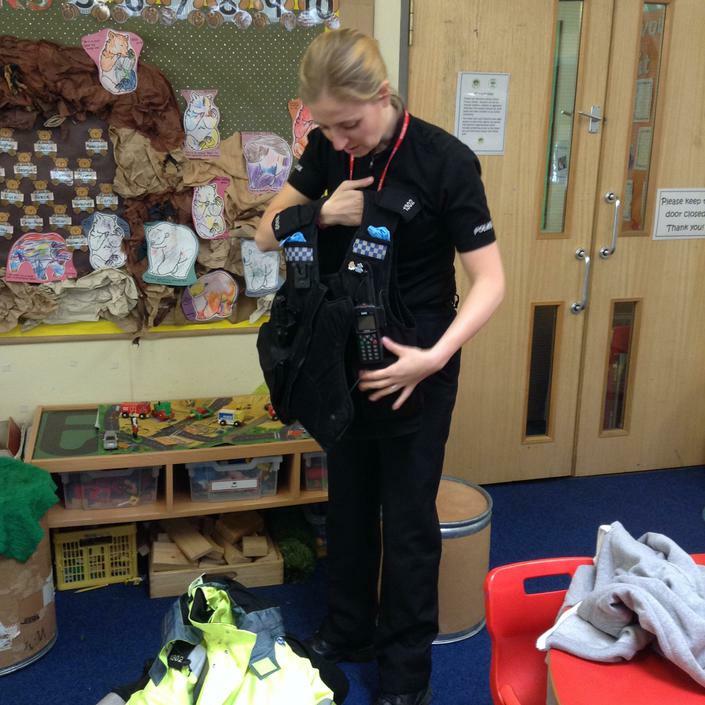 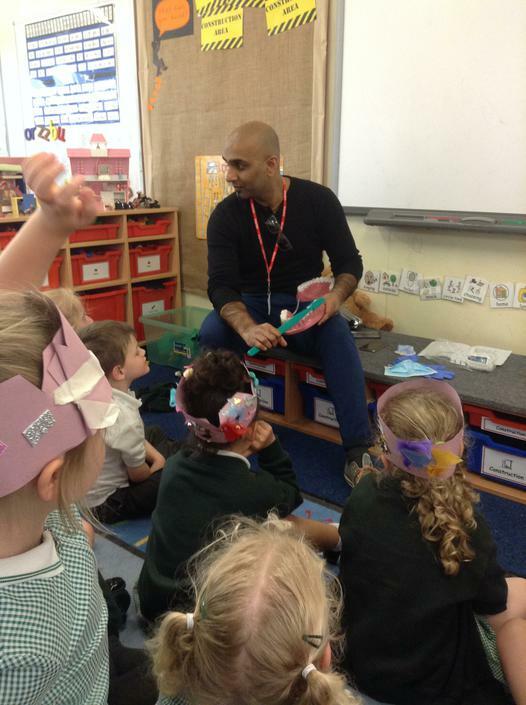 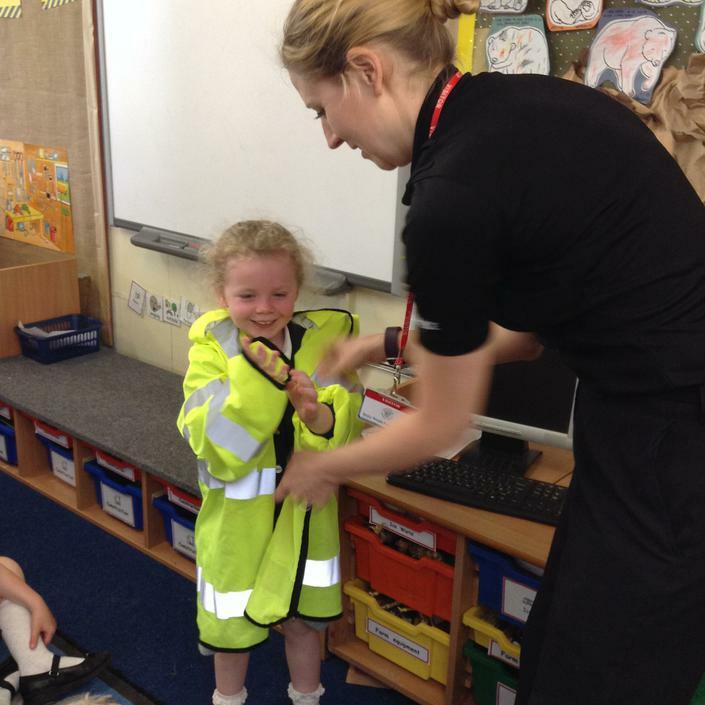 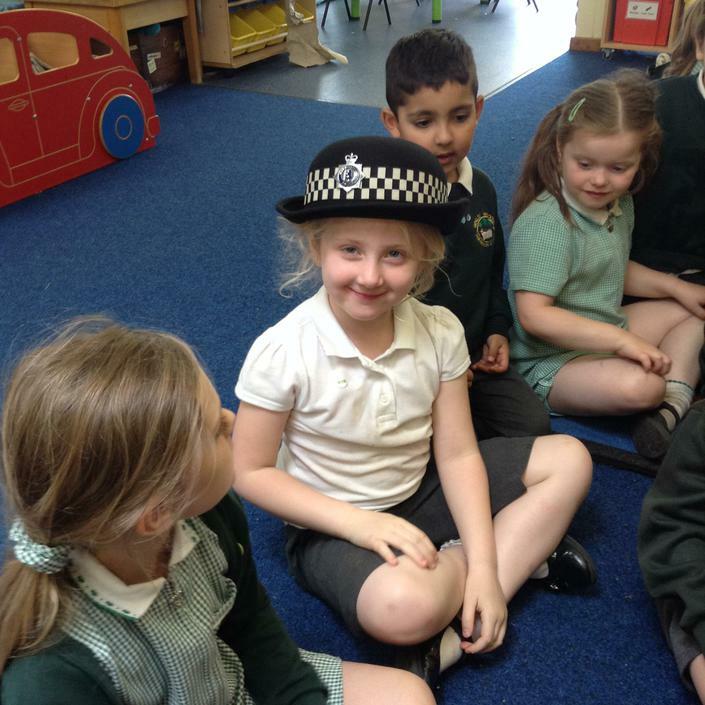 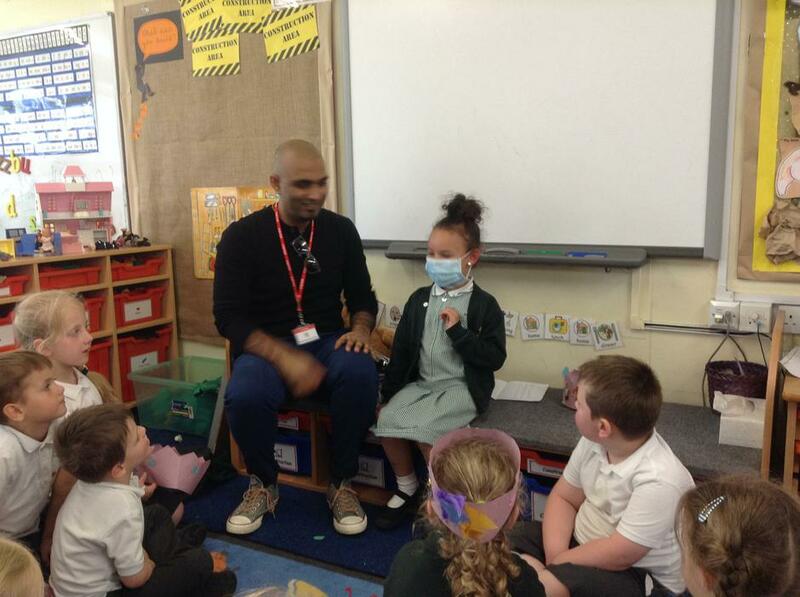 People Who Help Us - thanks to the lovely parents who helped us learn about being a dentist, a police officer and a nurse! 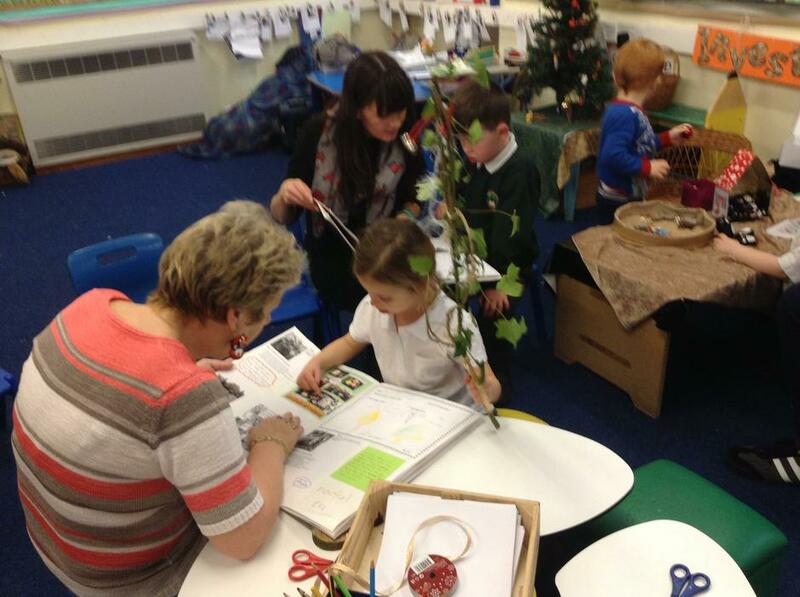 Our Christmas Sharing Afternoon! 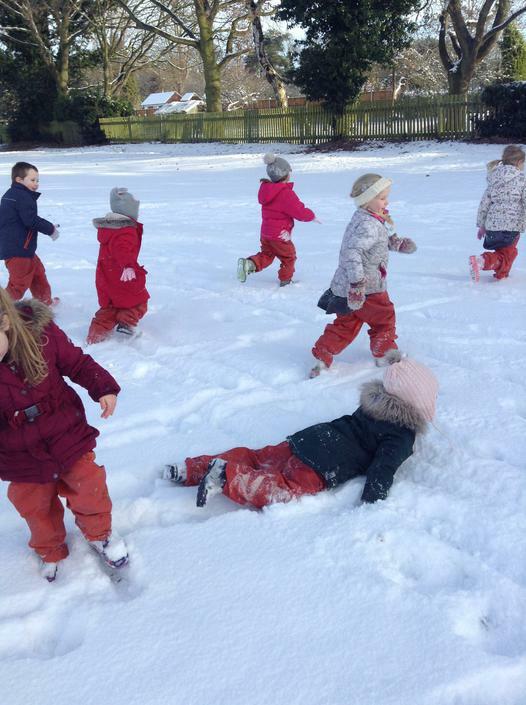 What a lot of fun we had. 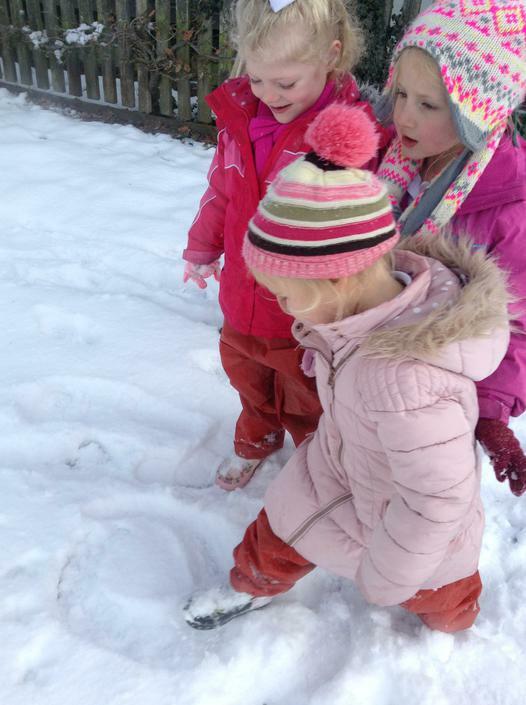 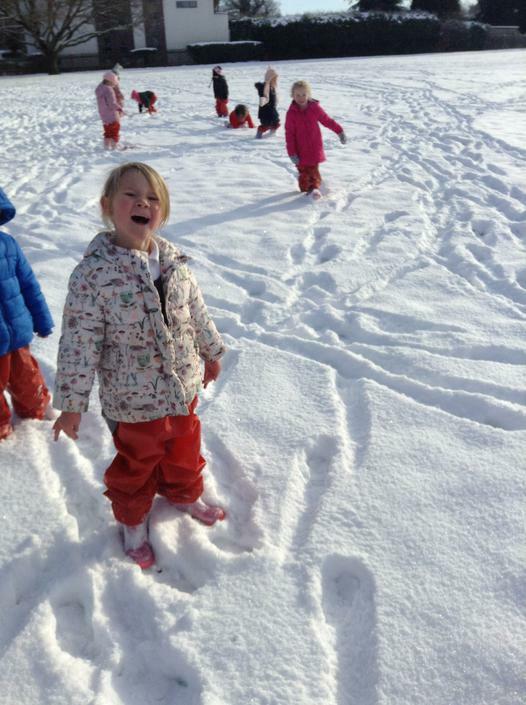 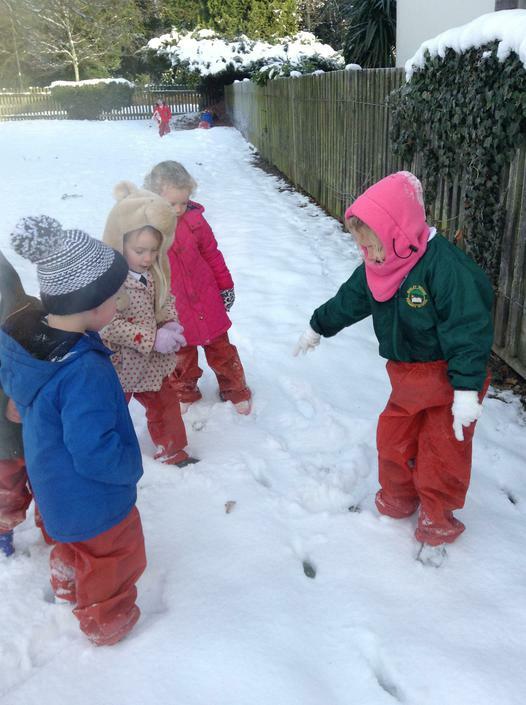 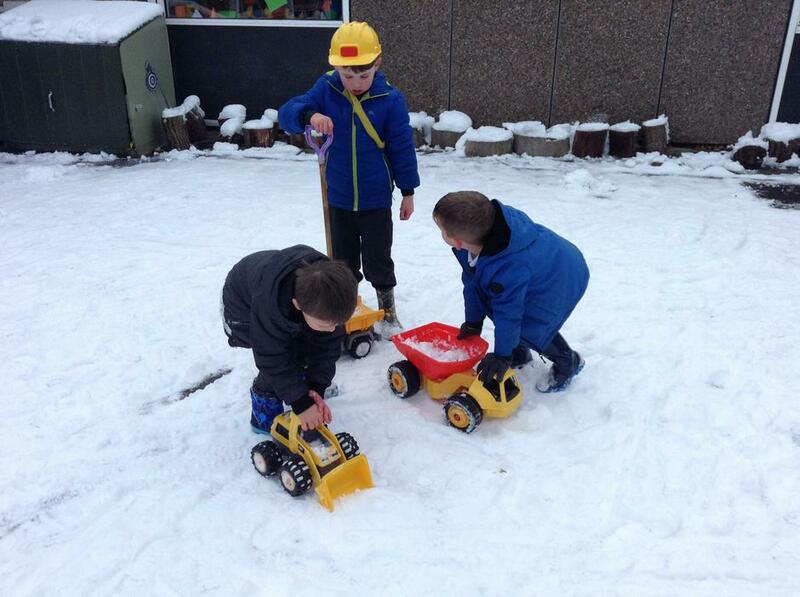 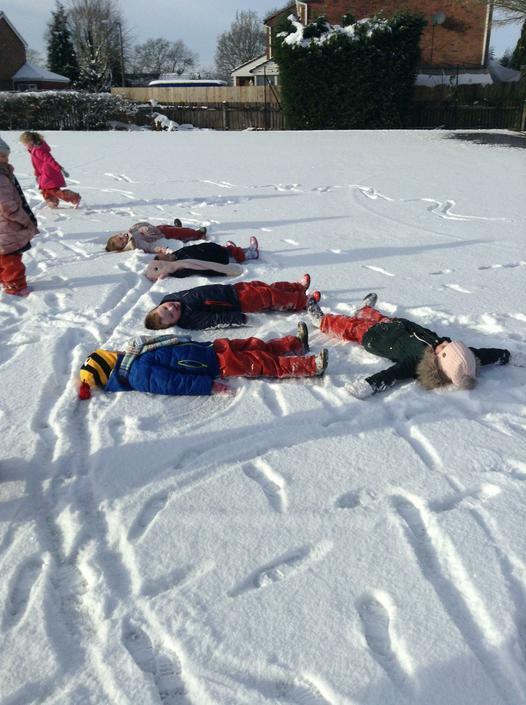 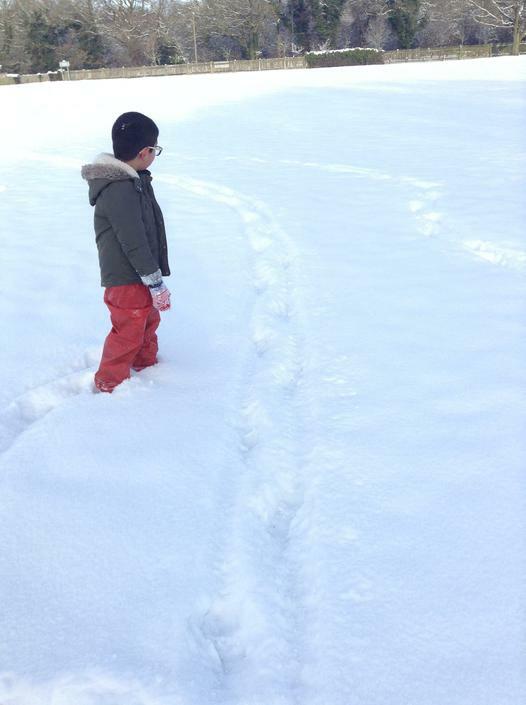 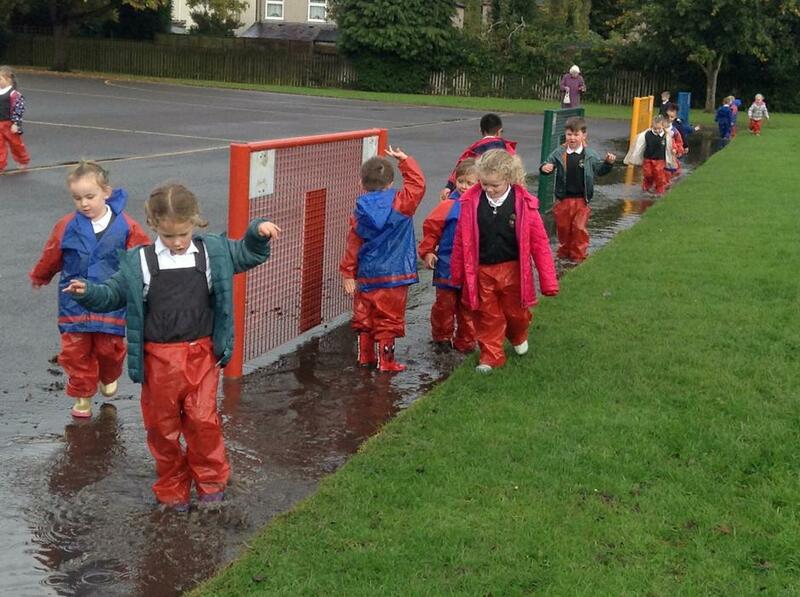 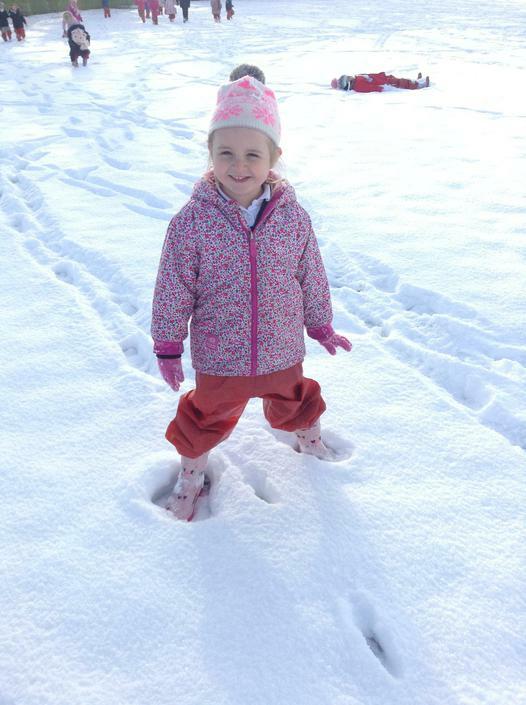 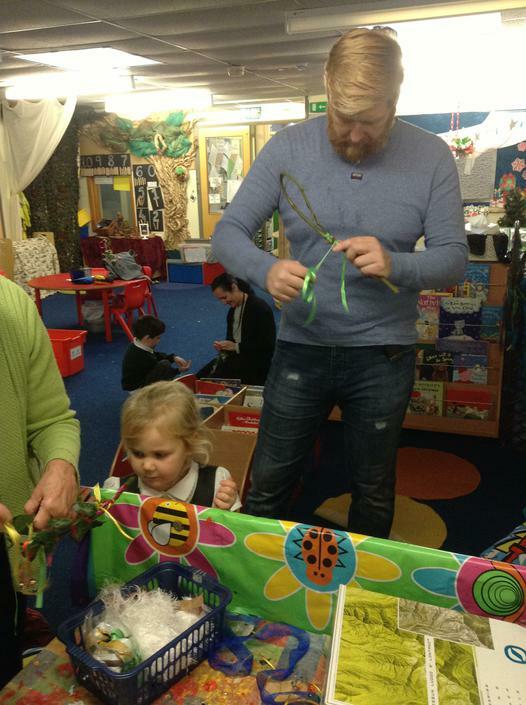 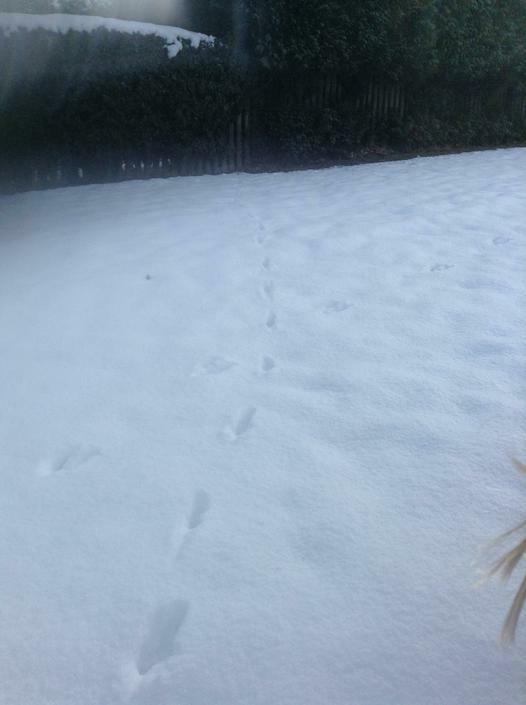 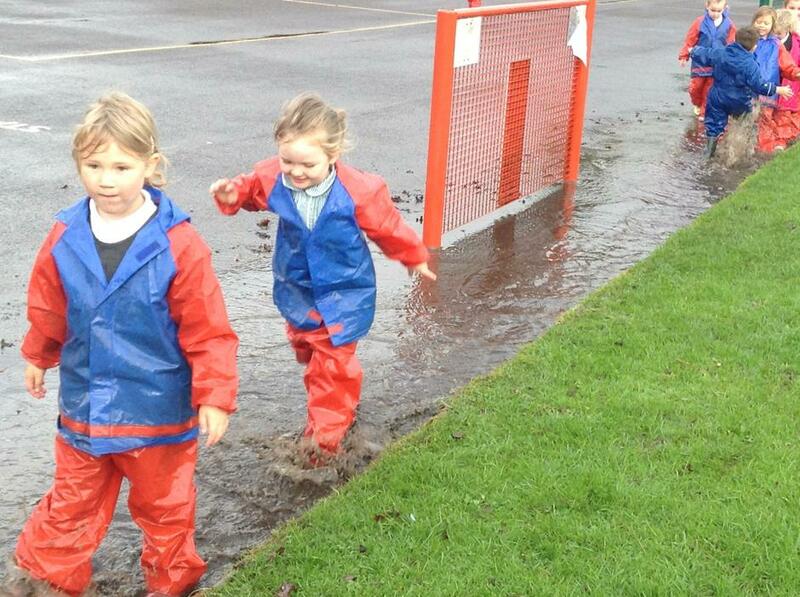 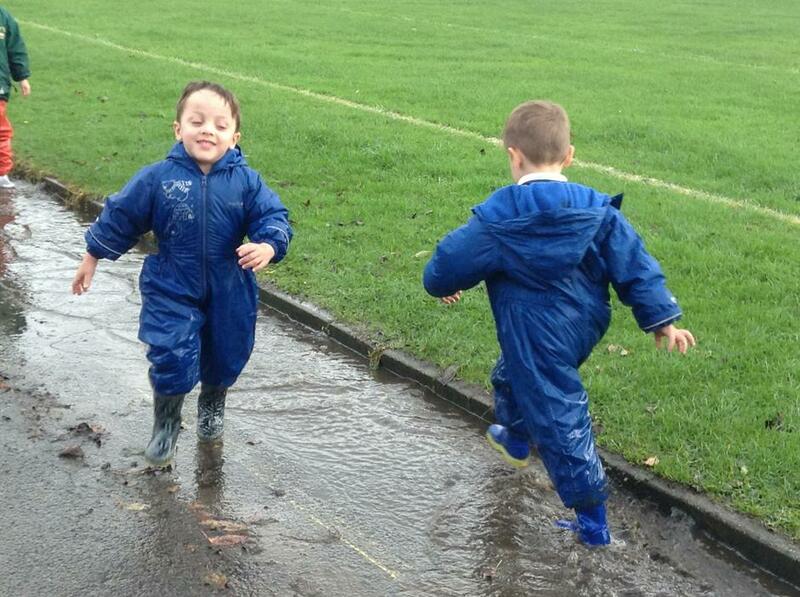 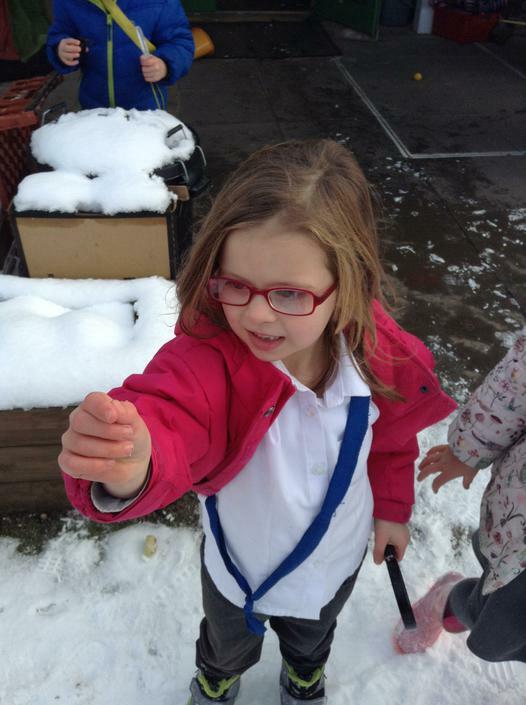 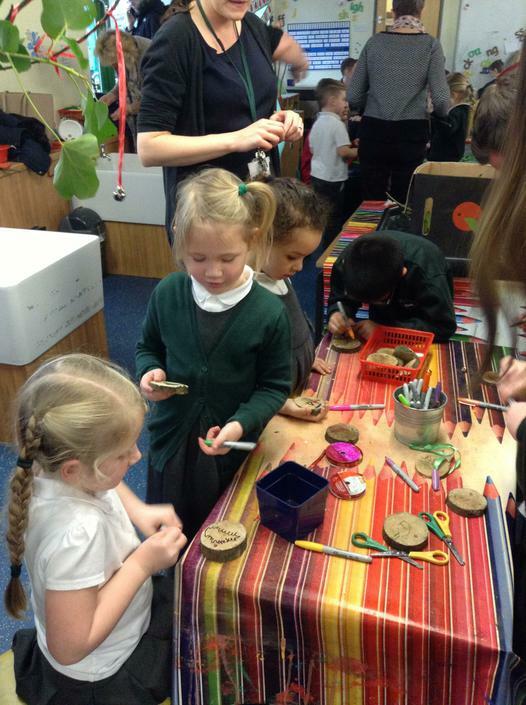 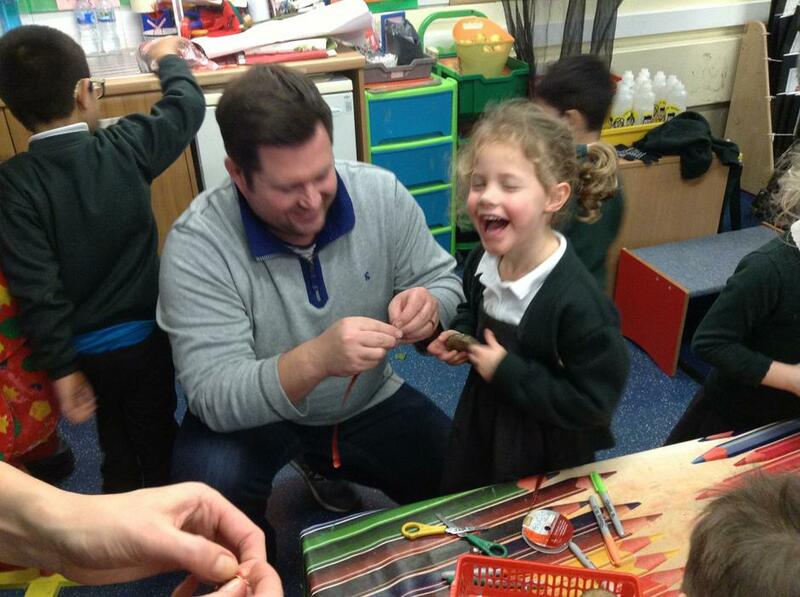 What happens on a snowy day in Reception...have a look! 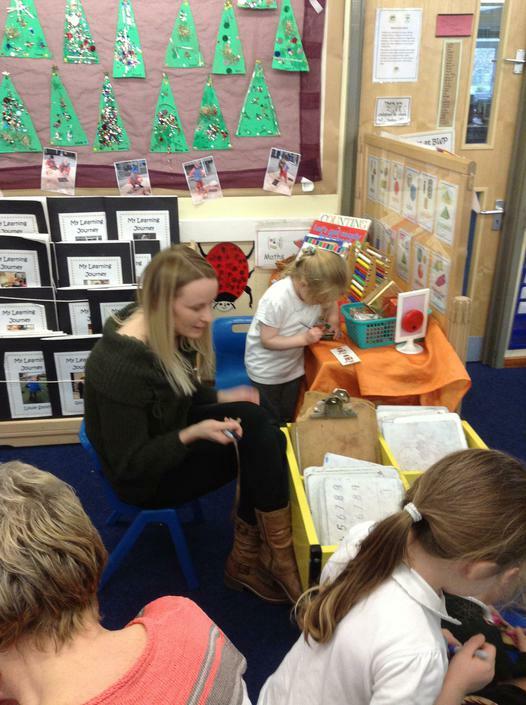 Thank you for coming along to our Phonics Meeting on Friday 3rd November. 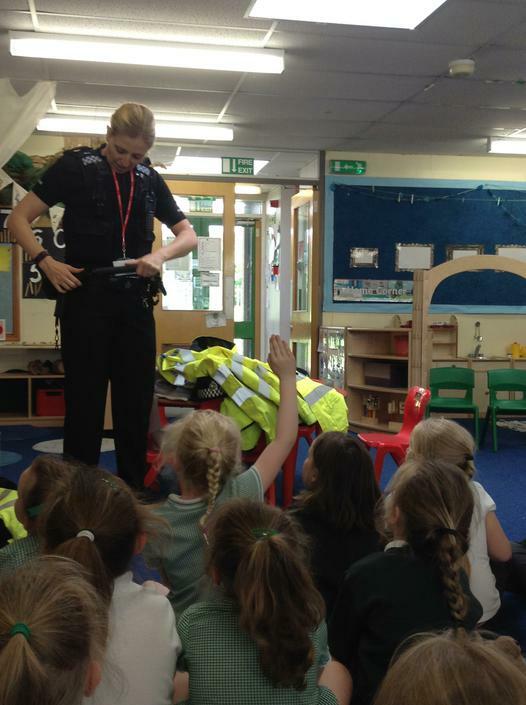 Here is the PowerPoint if you were not able to attend. 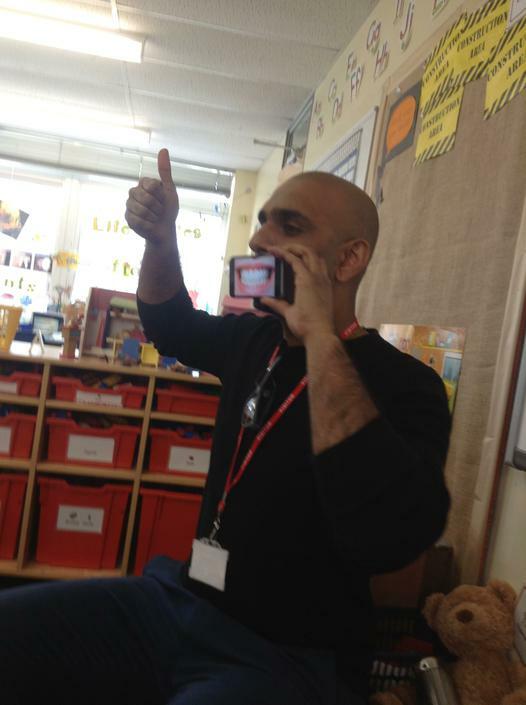 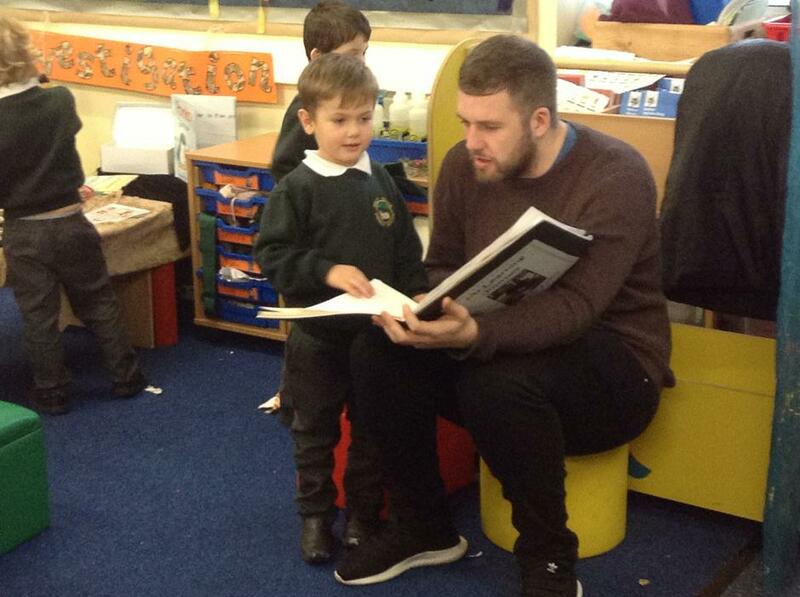 Please come and talk to us anytime if you would like any more information or support with phonics. 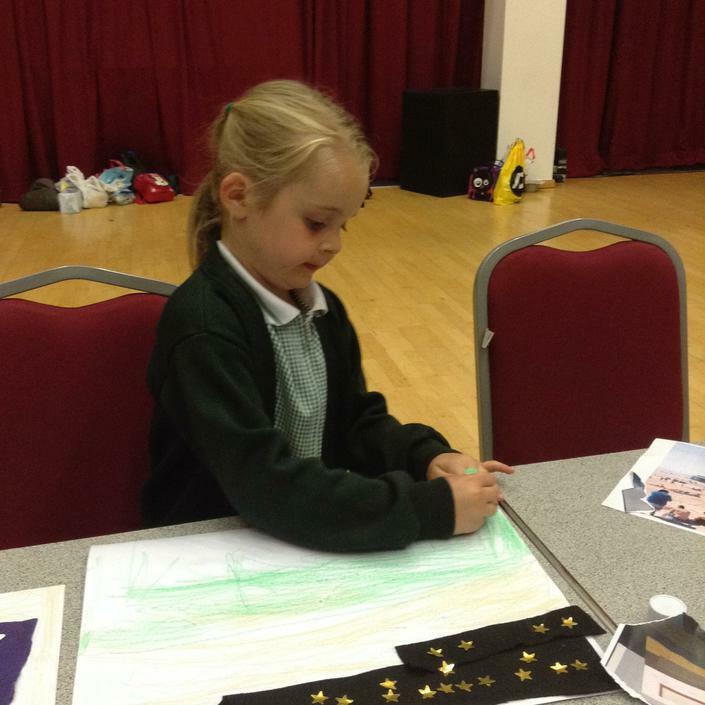 Virtual Sparkler Move the mouse to wave your sparkler and draw your own picture! 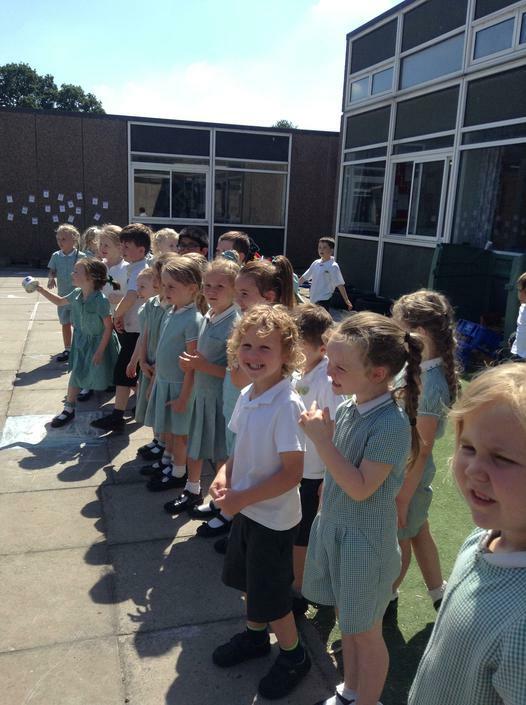 Number names 1-20 Your mission in this game is to launch five spaceships. 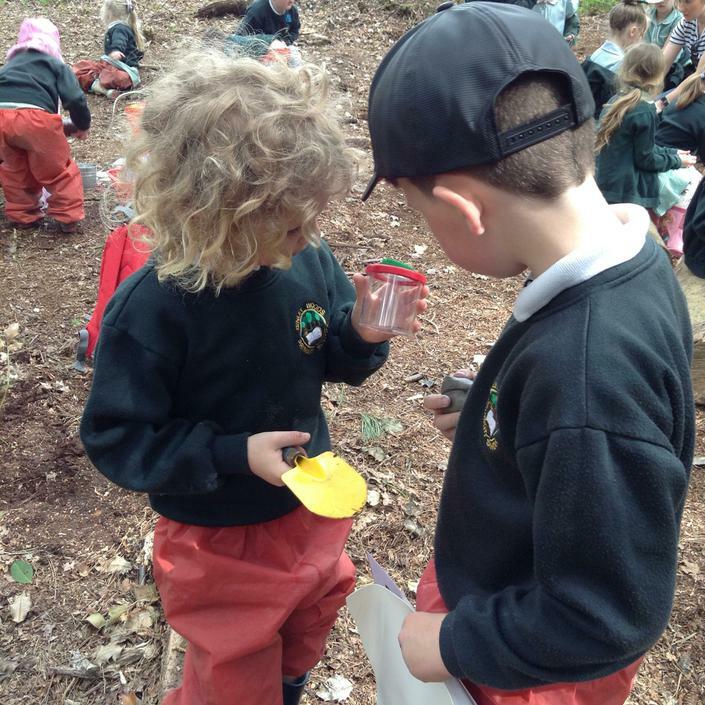 You need to match the number names with the numbers on the space ships. 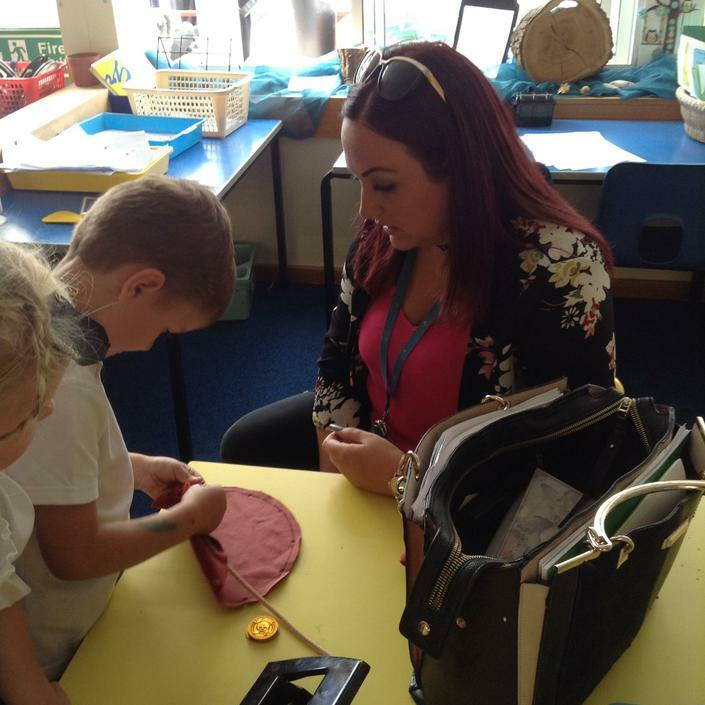 Smarteenies Shape Store Make your own picture by dragging and dropping shapes.